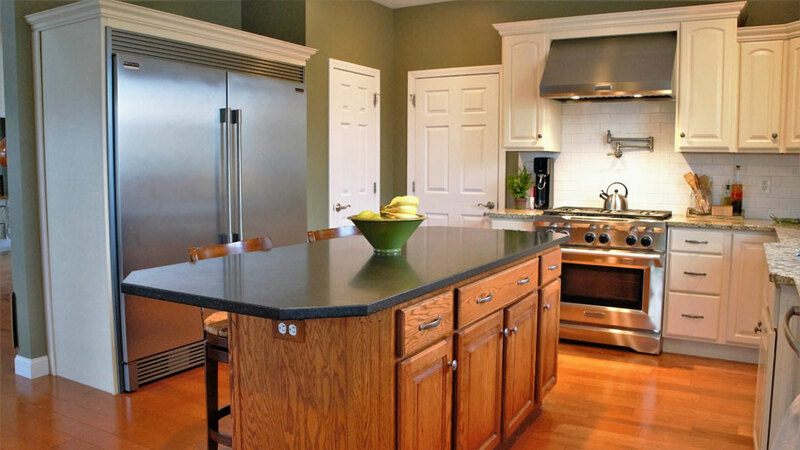 Examples of our skills and services….. 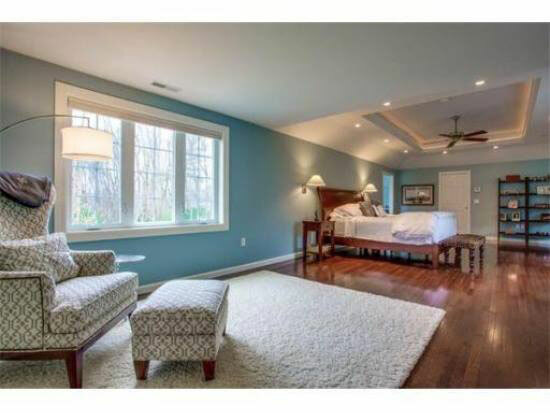 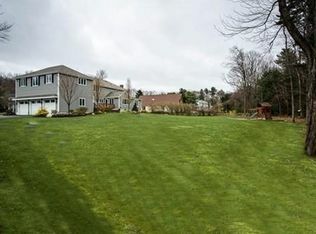 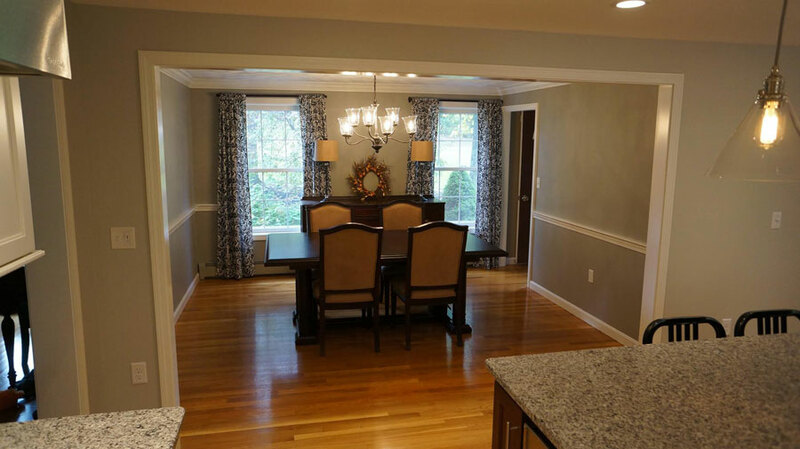 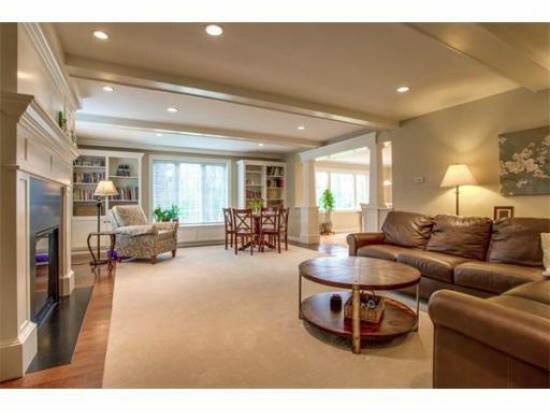 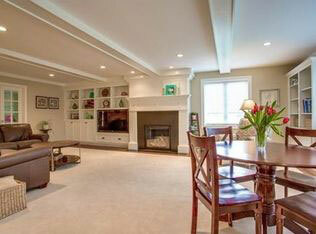 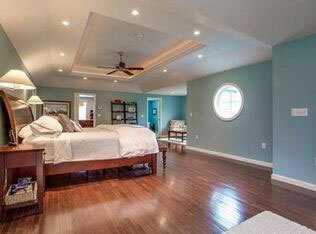 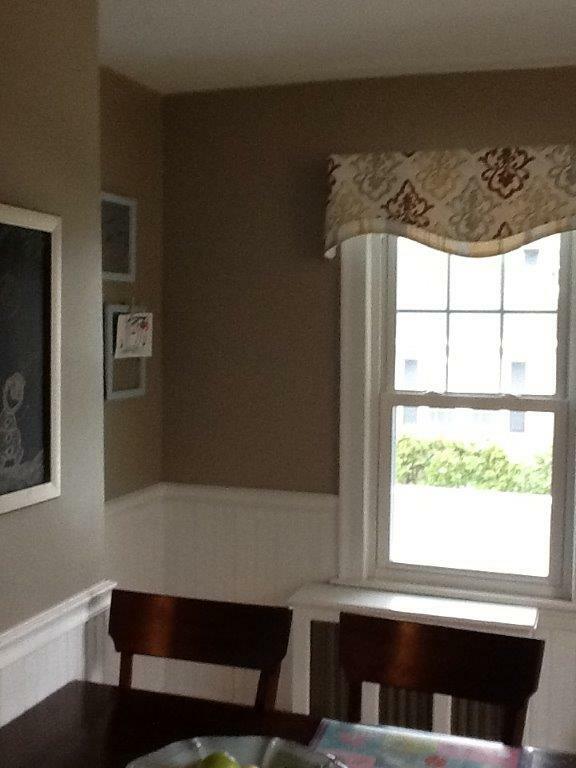 The simultaneous master suite addition and family room remodel added tons of character to this grand colonial. 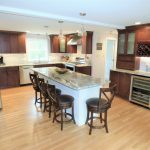 Design details such as custom built-ins, coffered ceilings, exotic hardwoods and beautiful tile work make for a unique and special home with greatly improved market value. 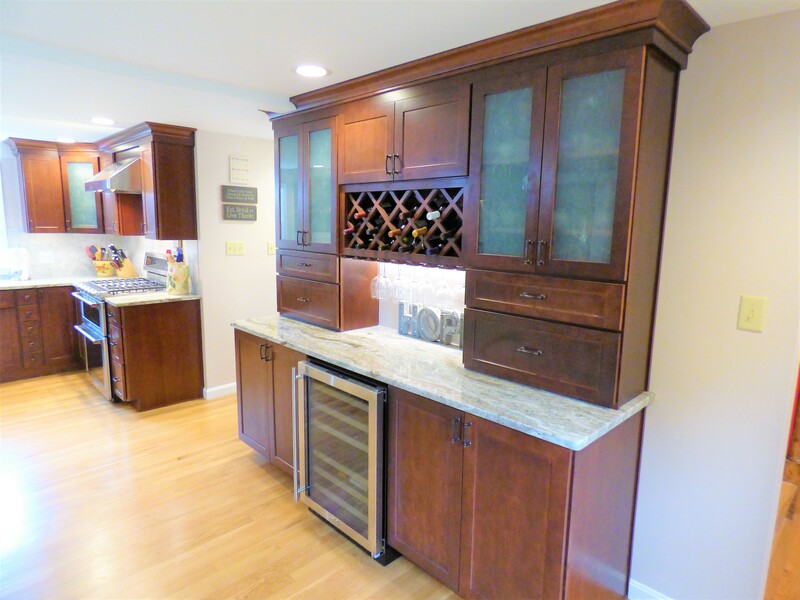 Changing the cabinetry configuration, appliance locations, and widening the entrance into the dining space improves lighting, storage, and makes for easy entertaining. 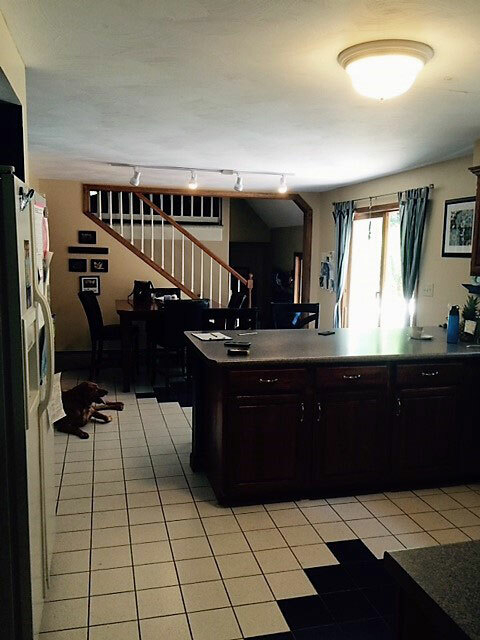 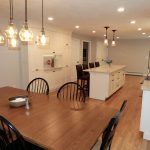 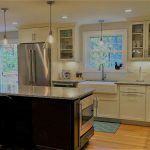 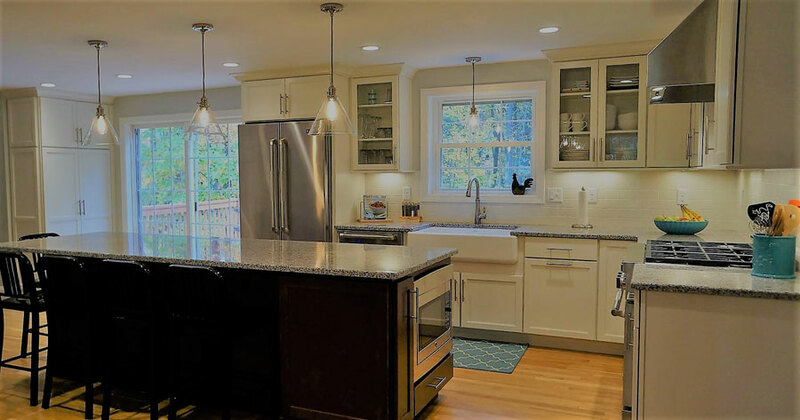 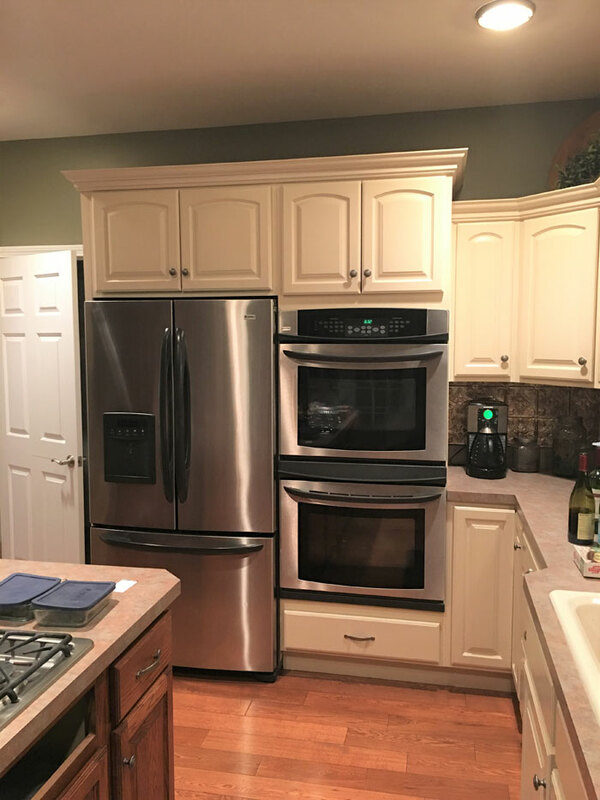 New hardwood flooring, energy efficient window patio slider, recessed and pendant lighting, subway tile backsplash, and new stainless steel appliances transform this 1990’s colonial kitchen. 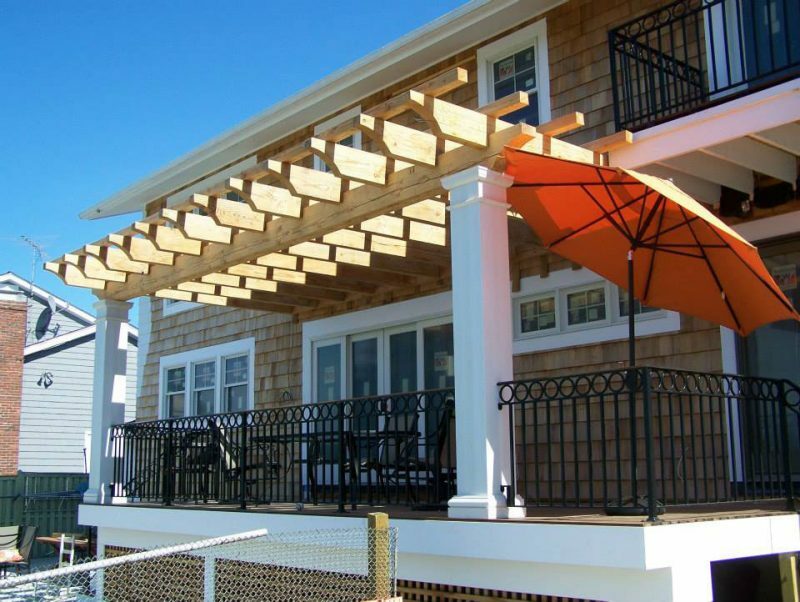 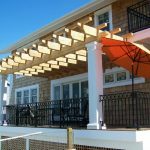 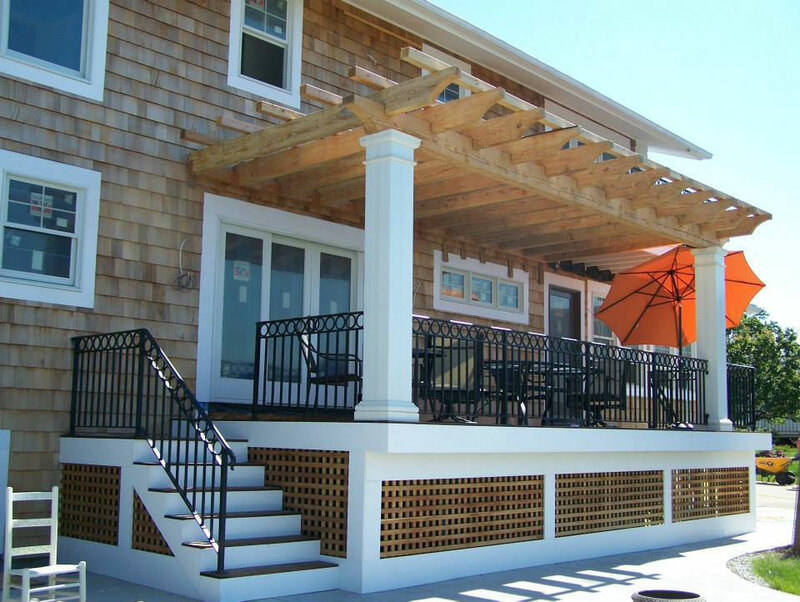 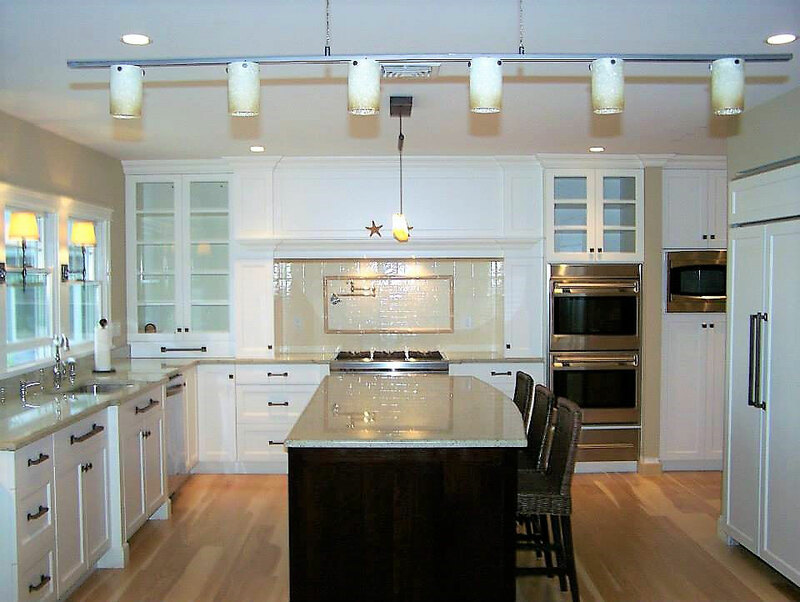 Fixtures, cabinetry, colors and custom millwork are characteristic of many ocean view homes and create a relaxing and unique environment to entertain. 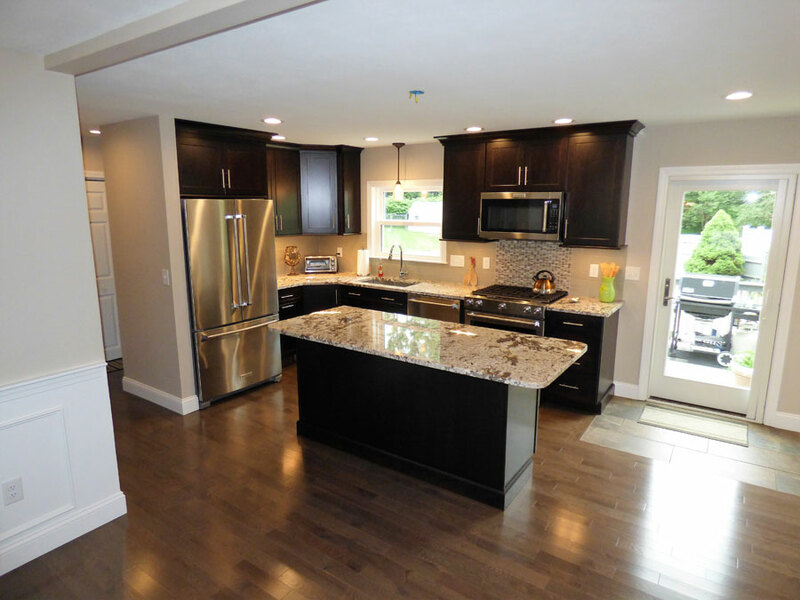 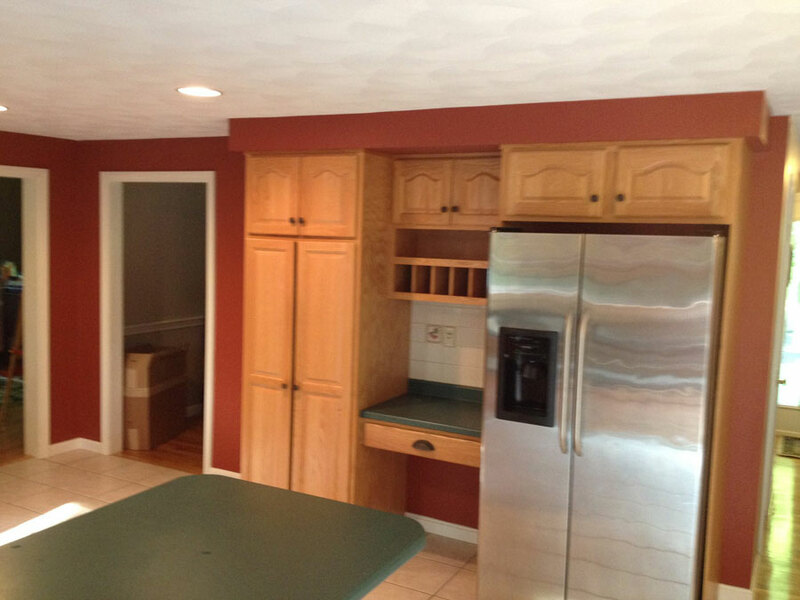 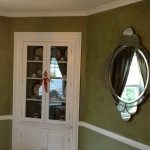 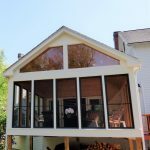 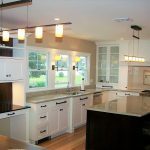 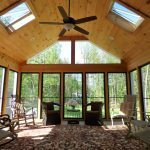 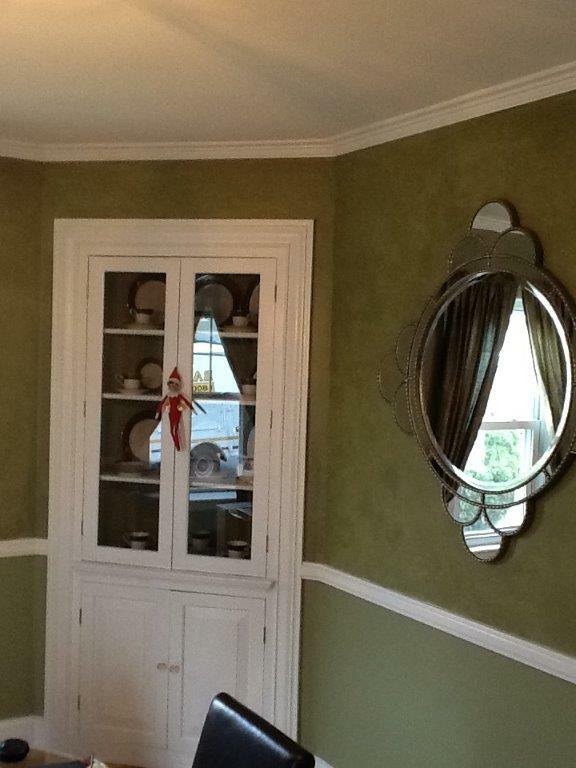 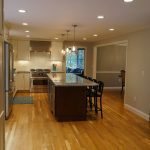 Here are a few highlights of this full home remodel. 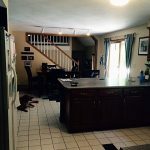 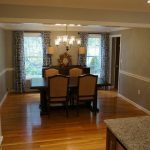 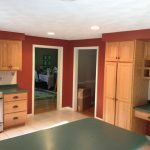 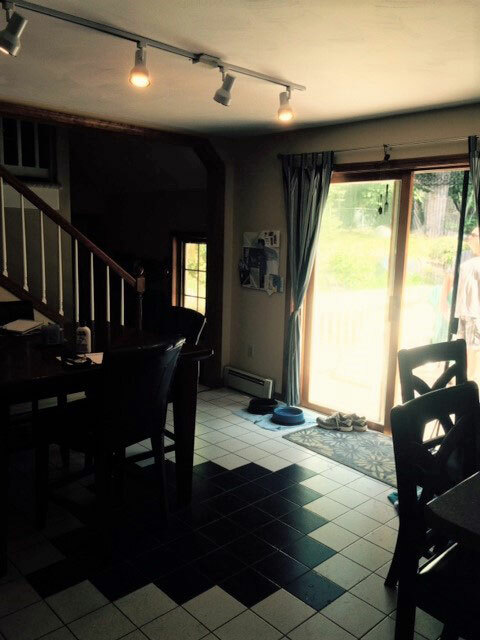 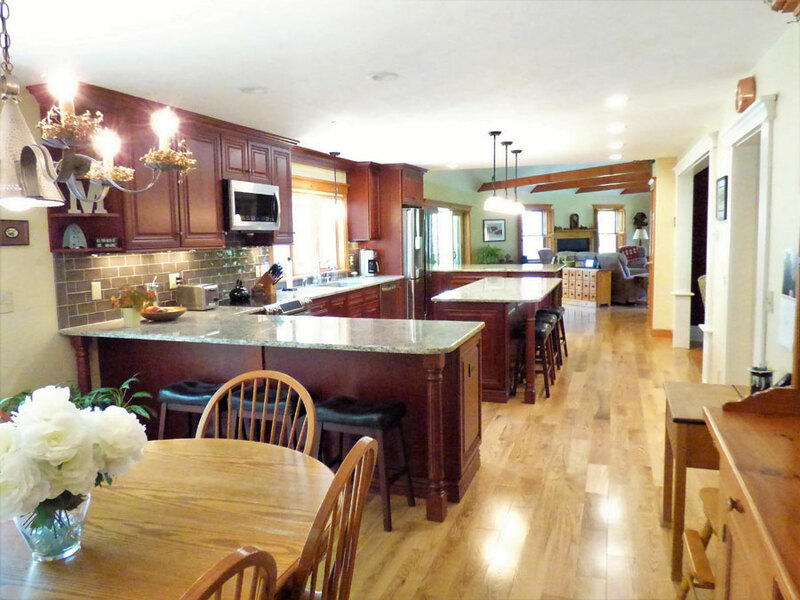 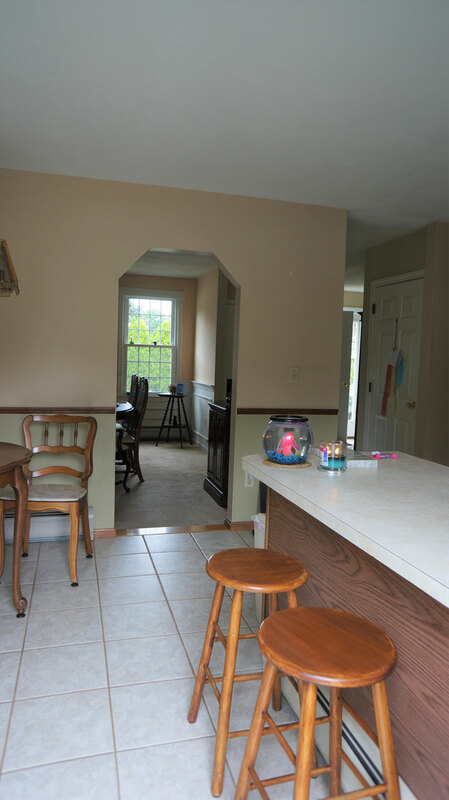 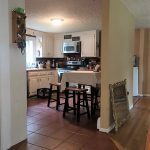 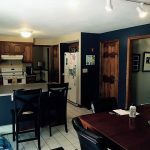 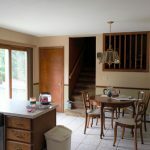 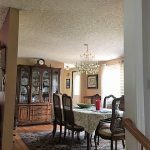 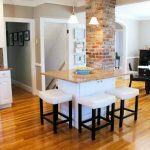 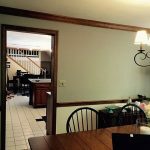 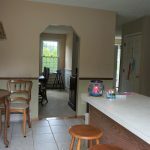 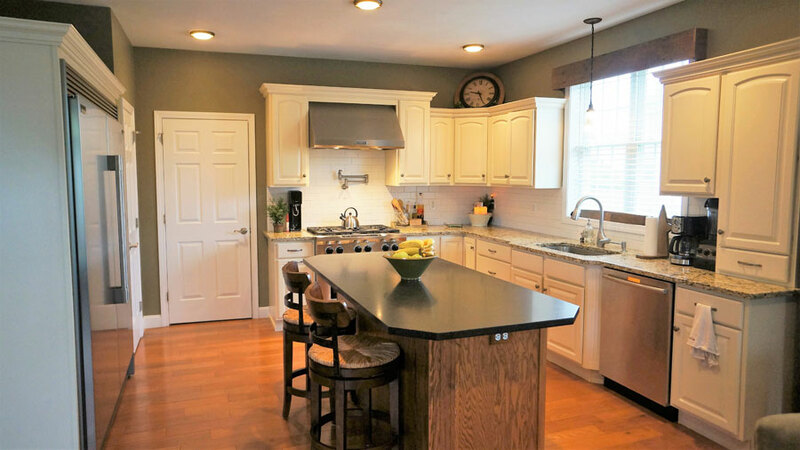 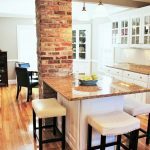 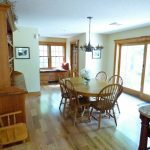 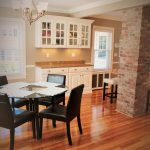 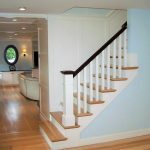 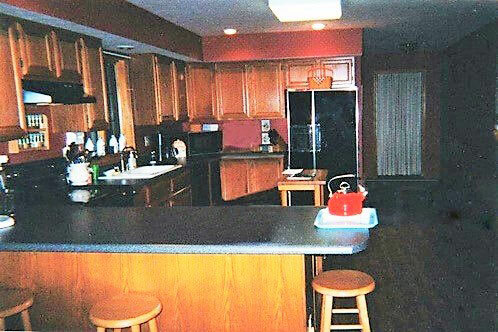 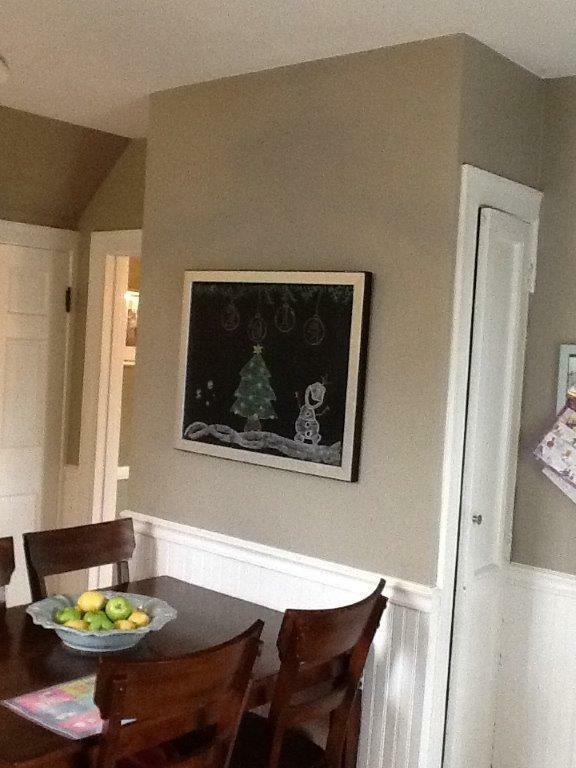 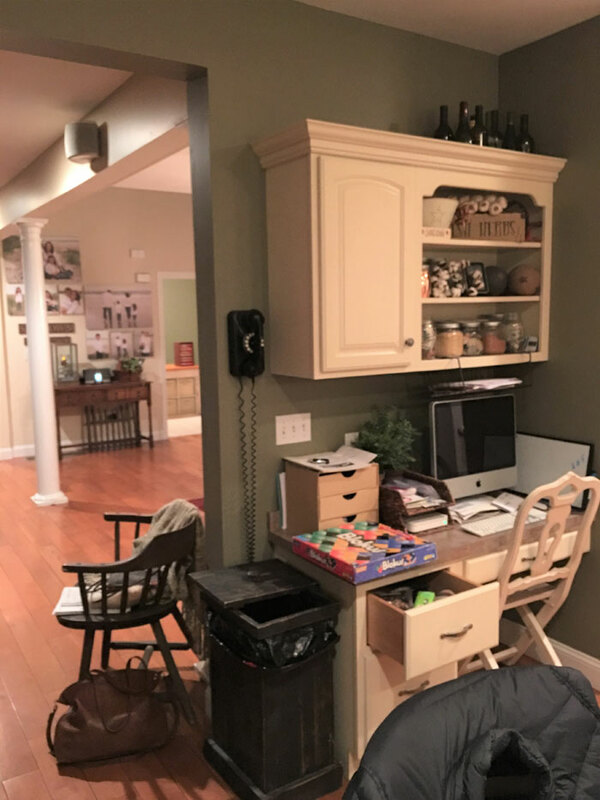 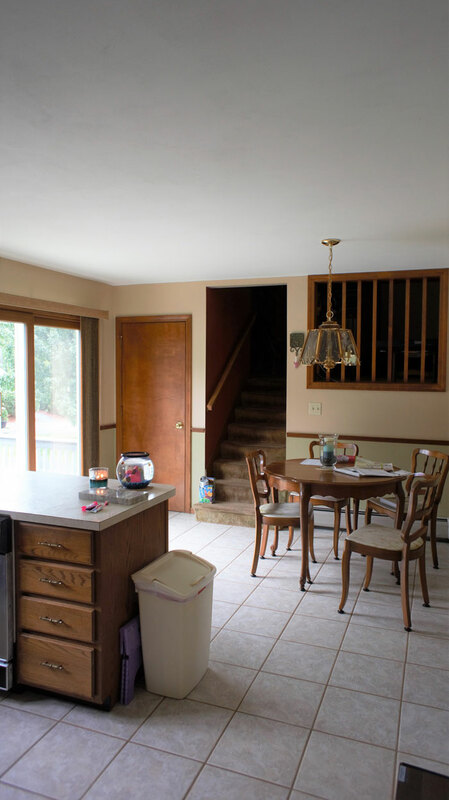 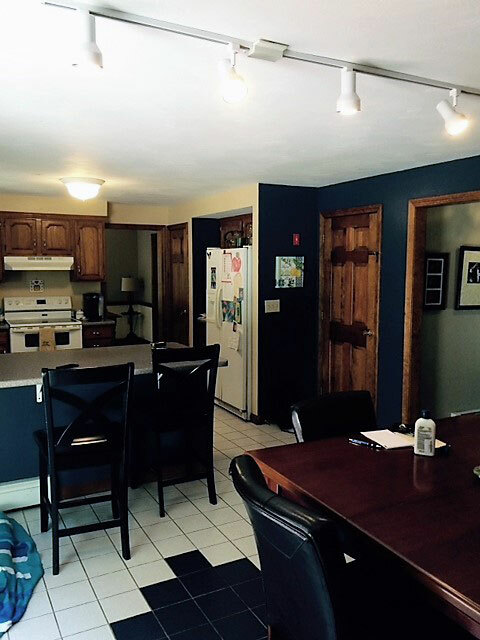 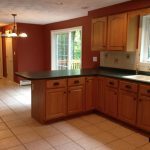 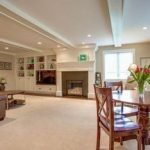 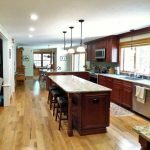 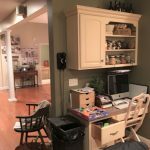 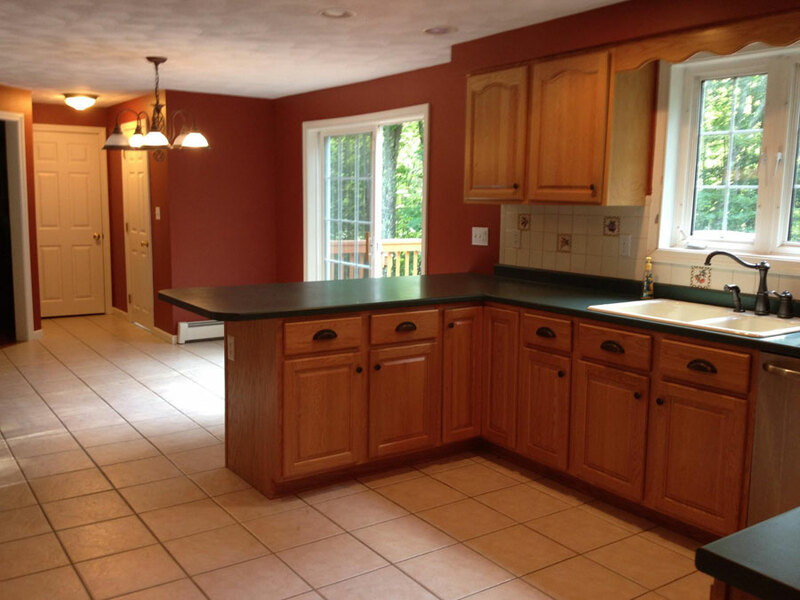 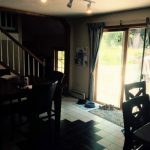 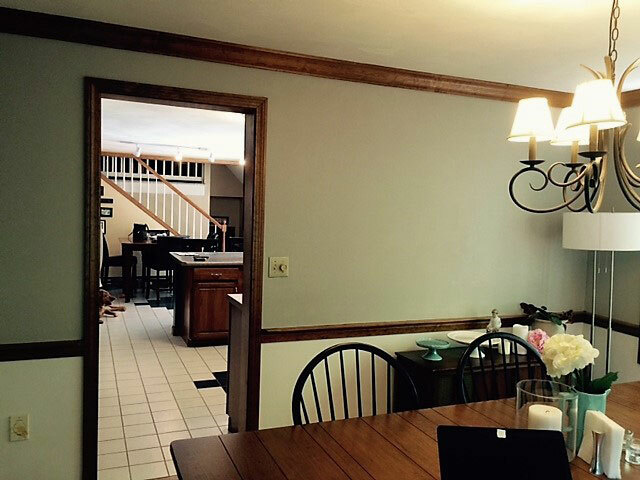 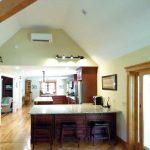 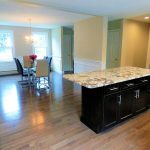 An amazing kitchen transformation was created by simply removing the wall between the kitchen and dining room, and closing the stairwell to the second story family room. 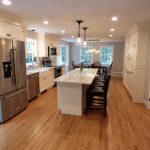 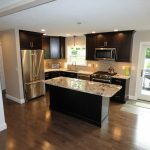 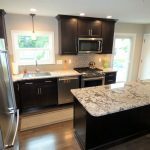 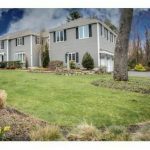 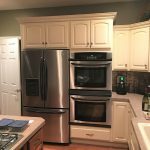 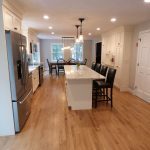 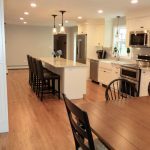 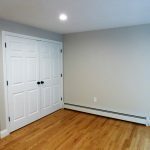 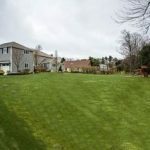 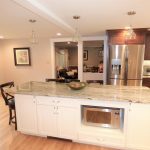 All new cabinetry, granite tops, lighting, hardwood, farmers sink, energy efficient window and slider, and stainless steel appliances update this gorgeous space. 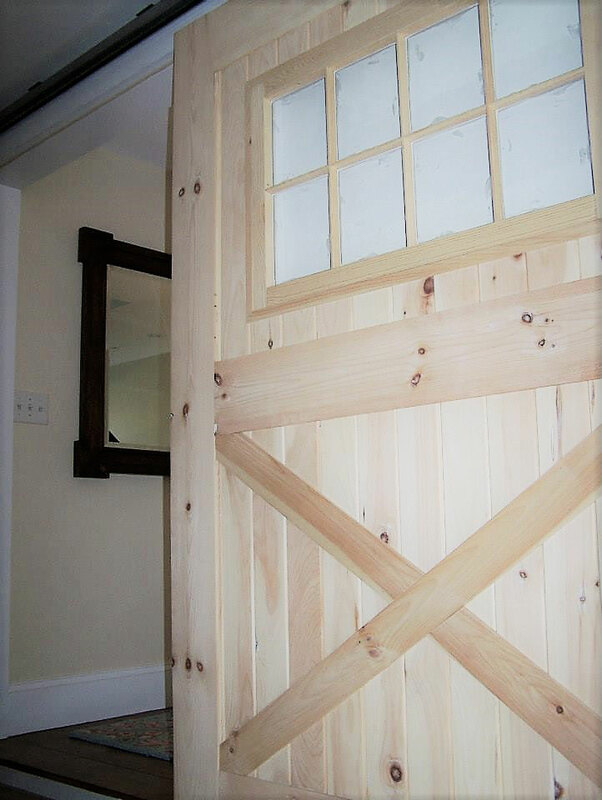 New bi-fold doors to first floor laundry and seating area awaiting its new furniture! 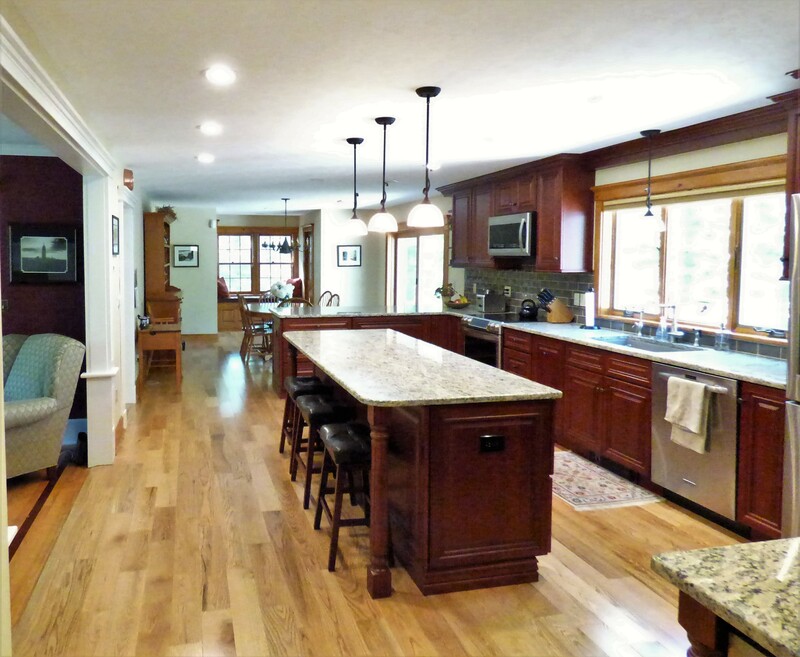 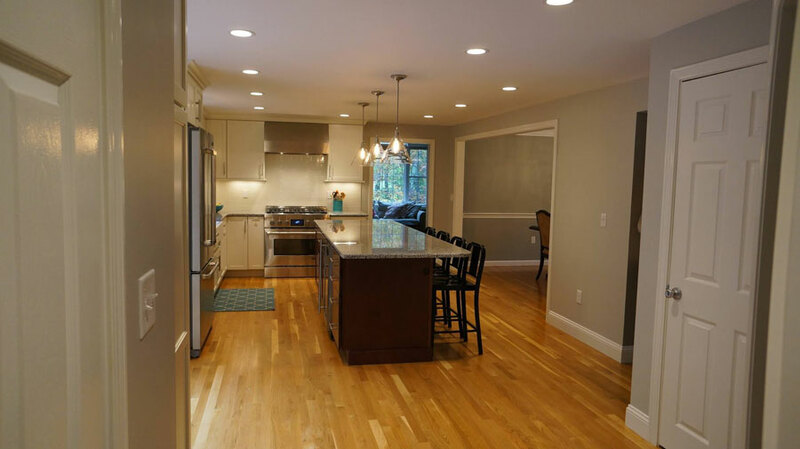 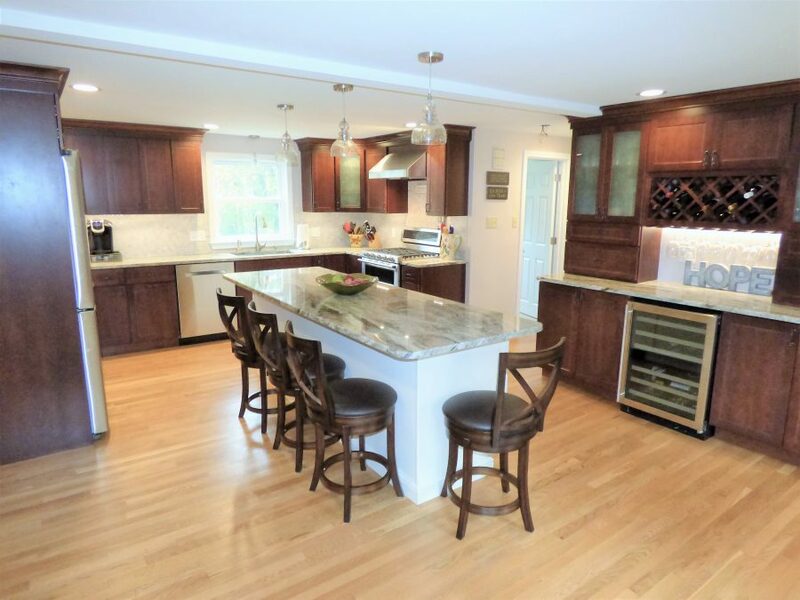 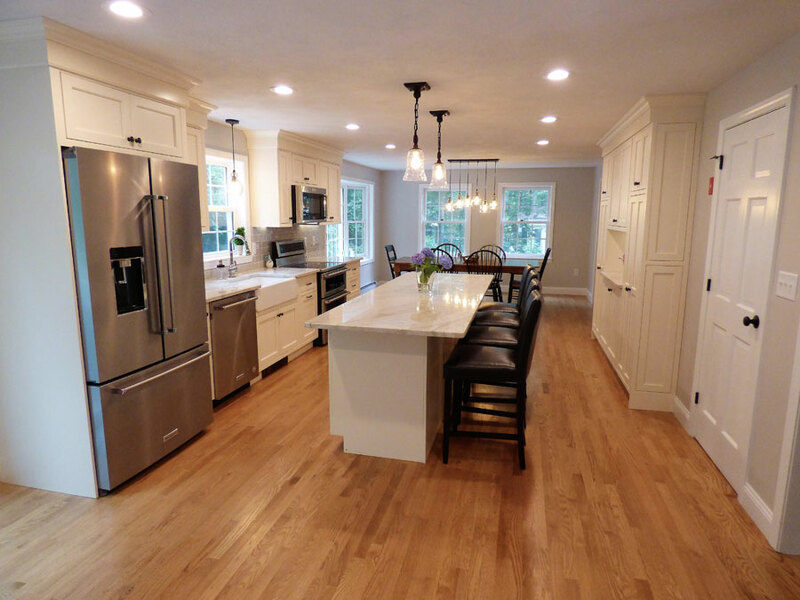 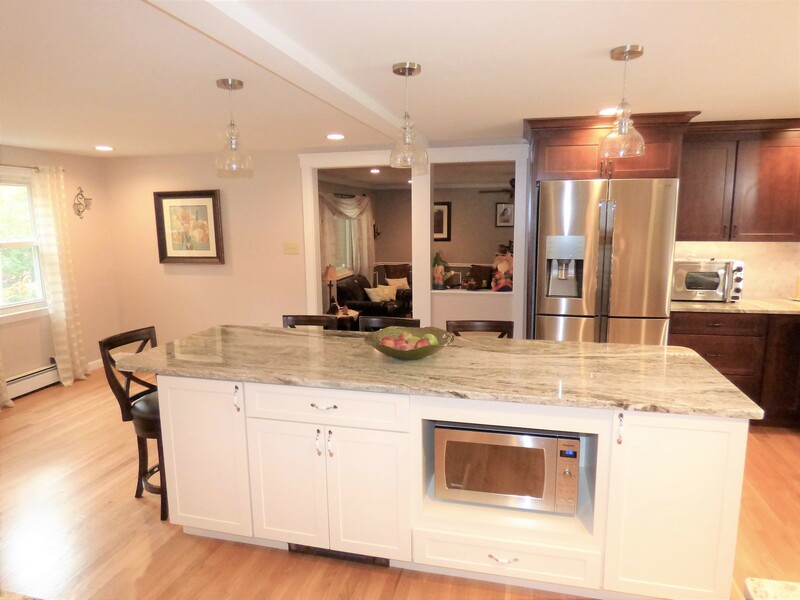 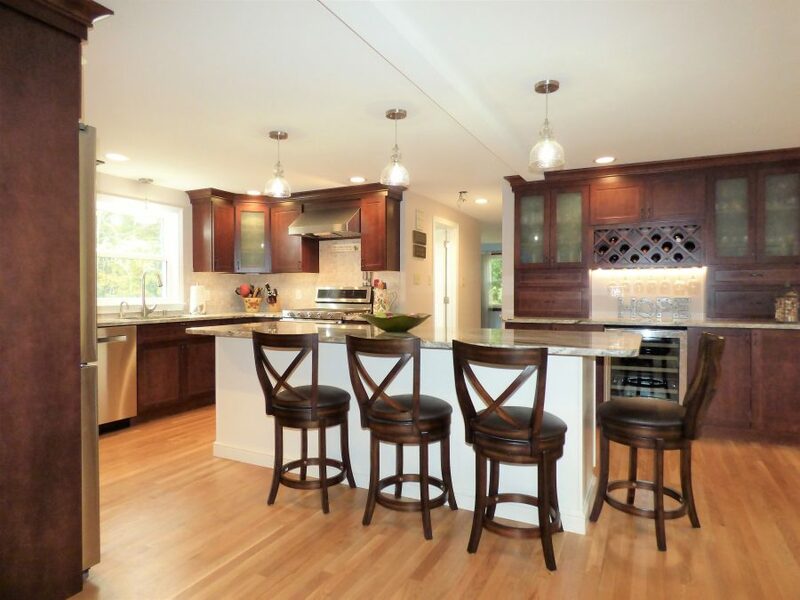 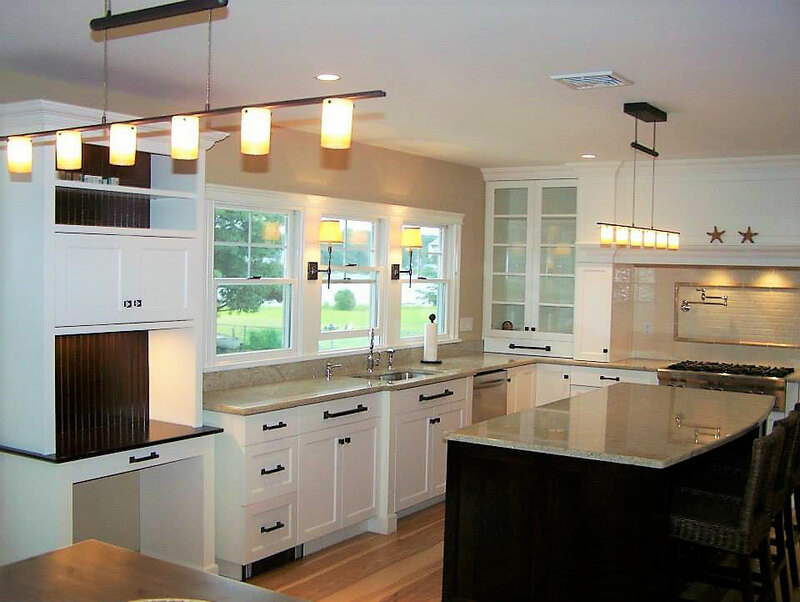 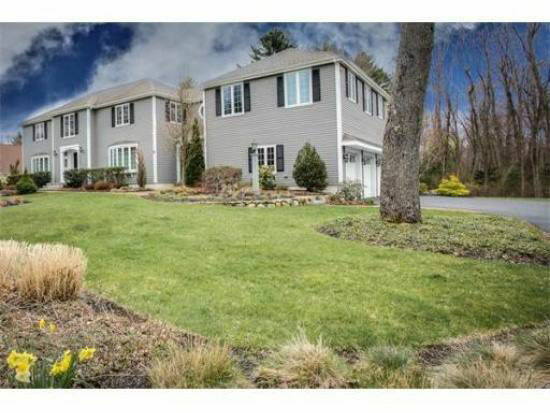 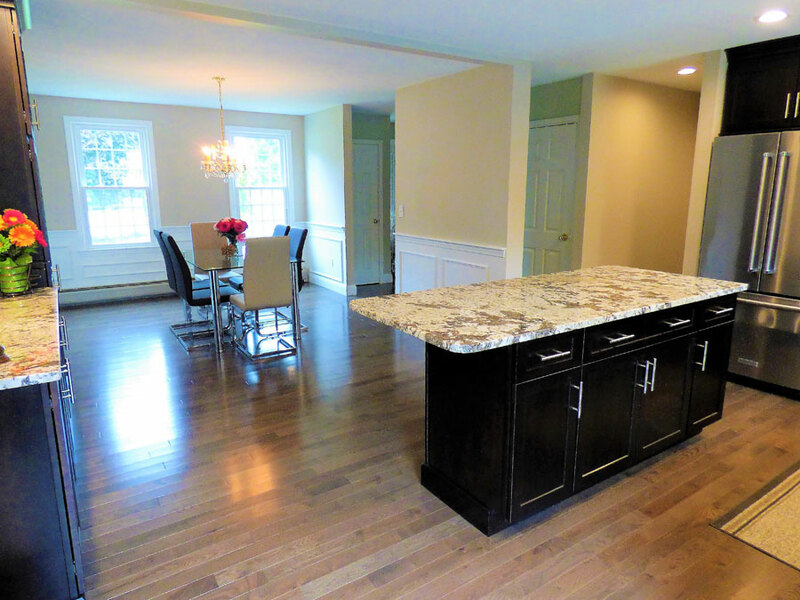 A contemporary twist for a traditional colonial with the removal of a dividing wall and the addition of maple stained hardwood, granite, stainless appliances, modern lighting, glass tile backsplash, and tons of new cabinetry for storage. 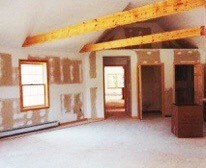 Great open space awaiting new decor and lighting! 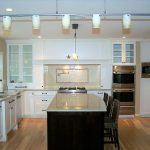 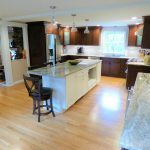 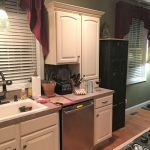 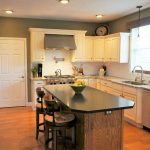 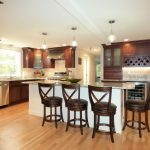 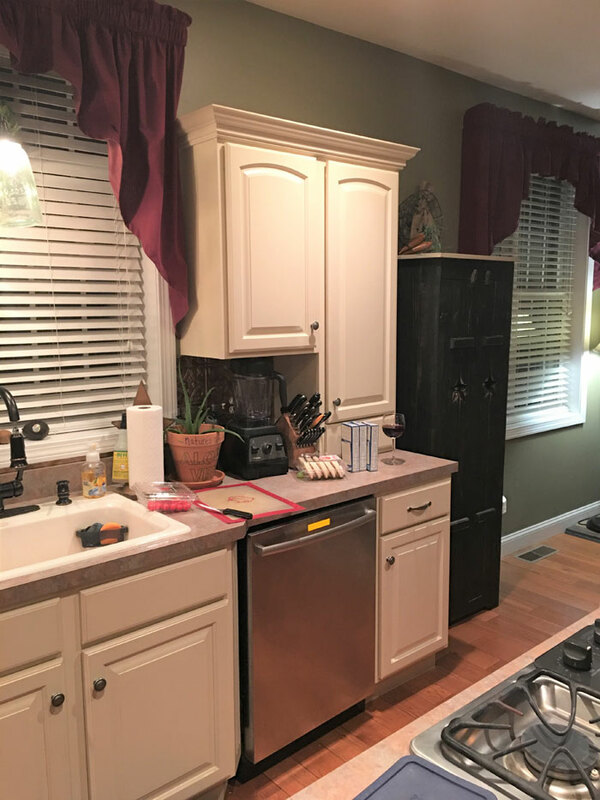 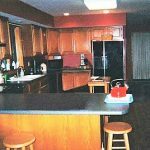 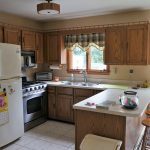 This “mini” kitchen remodel was budget friendly way to dramatically change the appearance and utilization of this already beautiful kitchen. 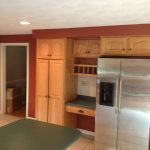 The extension of a kitchen wall allows room for the new commercial refrigerator. 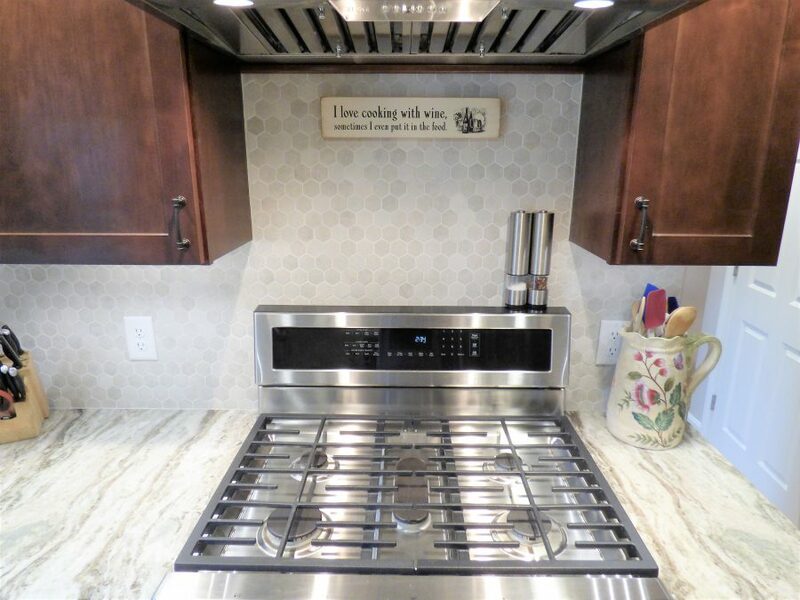 A new 36″ gas stove replaces the double oven wall units, and allows the stove top to be removed from the center island. 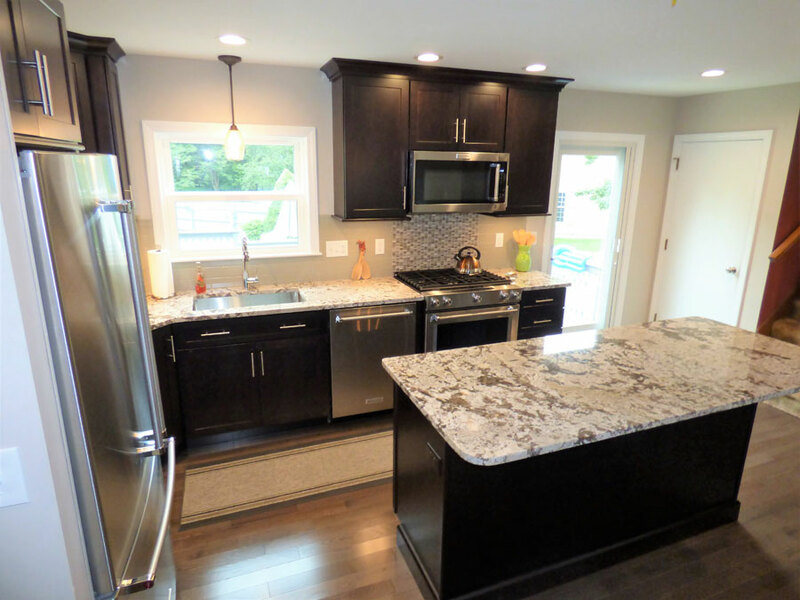 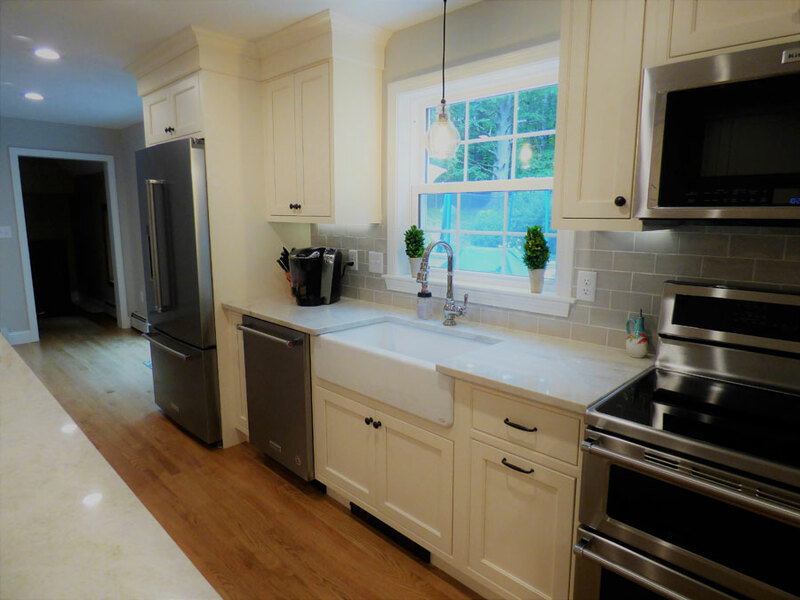 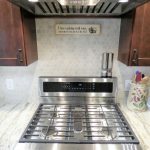 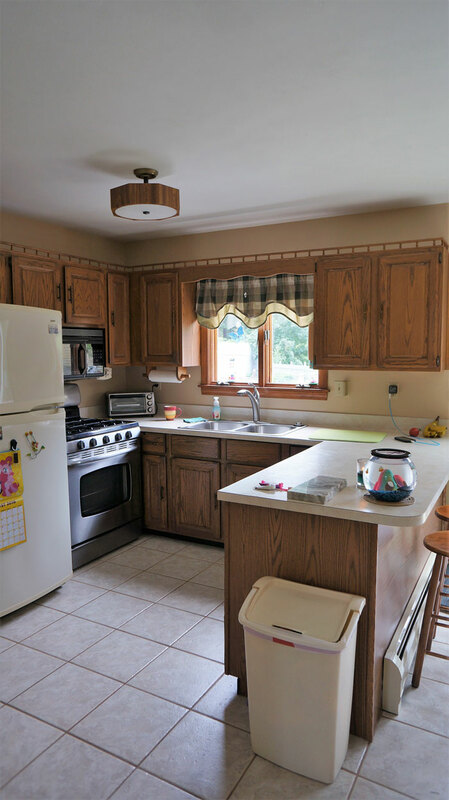 This transformation was completed with new granite tops, pot filler, and subway tile backsplash, perfect for the owners who live to cook and entertain! 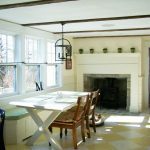 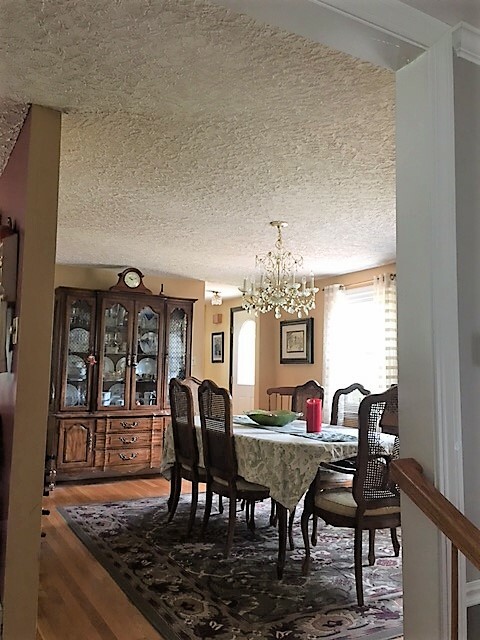 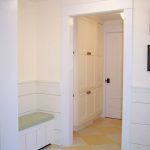 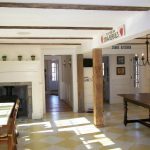 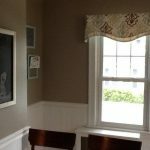 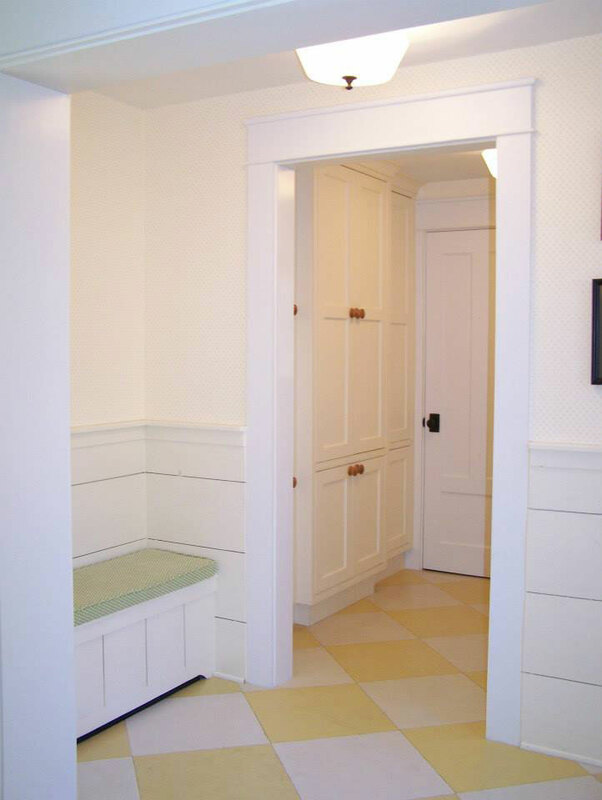 Our clients hoped to open up the space between the small kitchen and dining room of this 1940’s home, and explore restoring the old chimney they knew was buried in the wall. 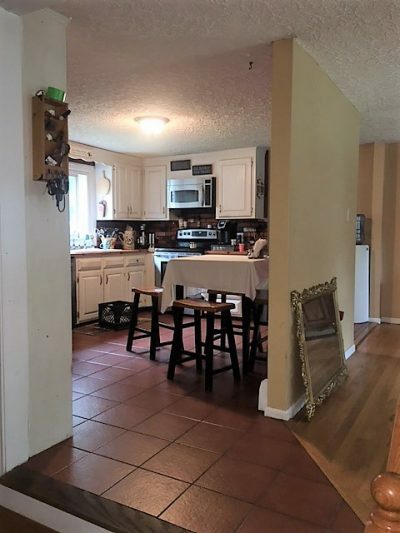 To everyone’s delight, the chimney was in great shape. 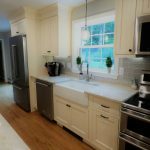 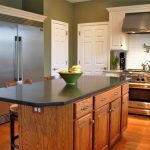 With some repointing, it became the centerpiece of the two rooms, and a great accessory to the new granite topped island. 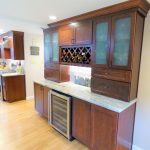 A wall pantry unit with granite connects the rooms, while adding character and storage. 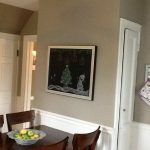 A wonderful surprise buried in the wall! 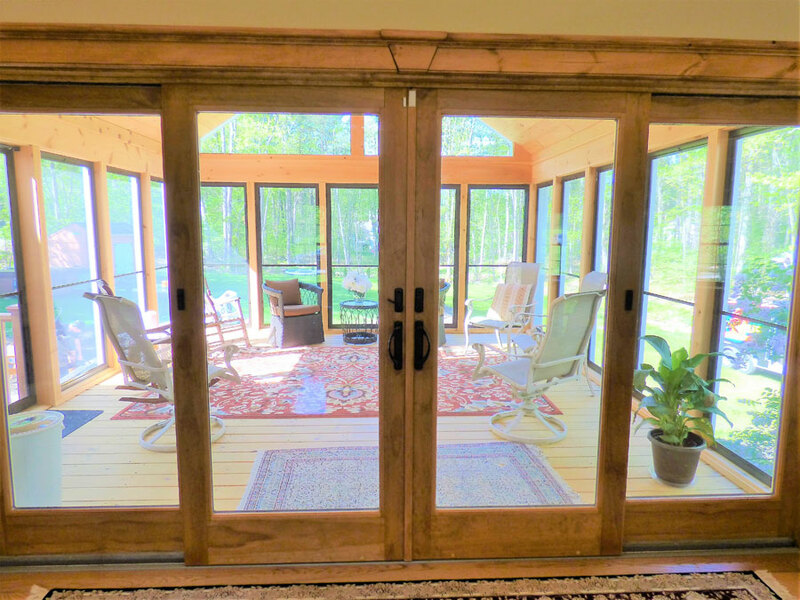 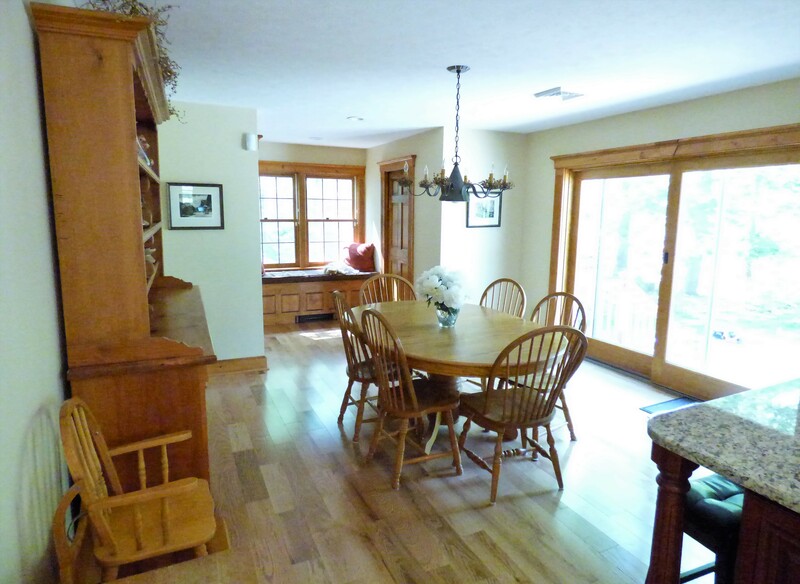 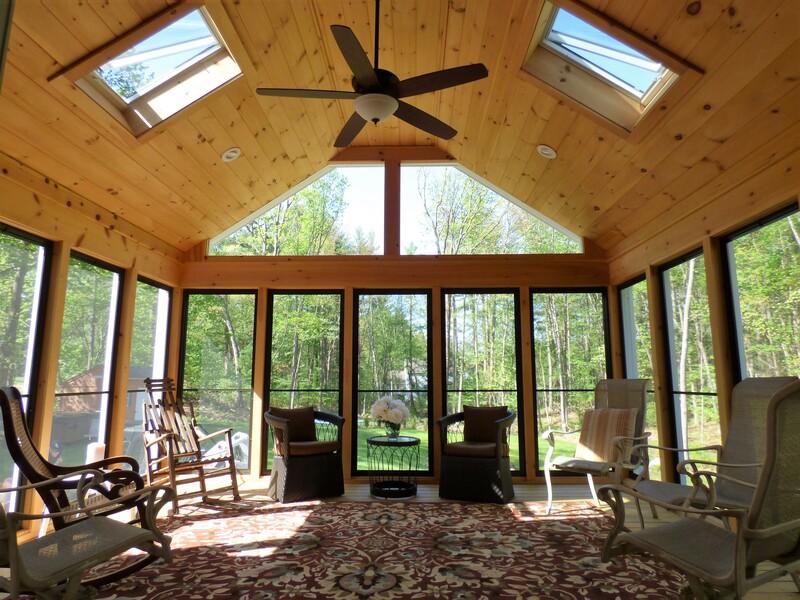 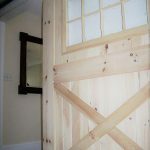 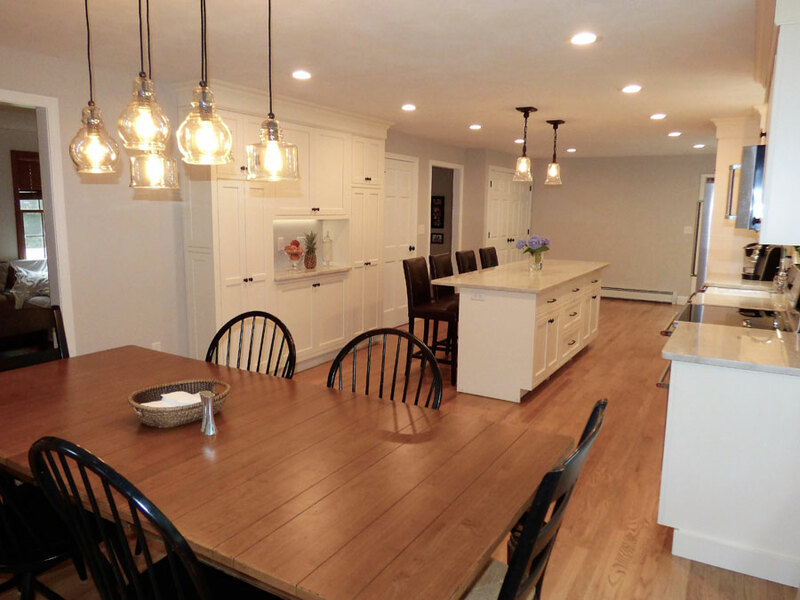 This client enjoys carpentry as a hobby, and loves the rustic look hardwoods can bring to a home. 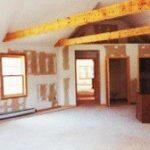 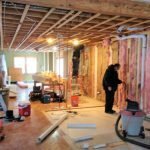 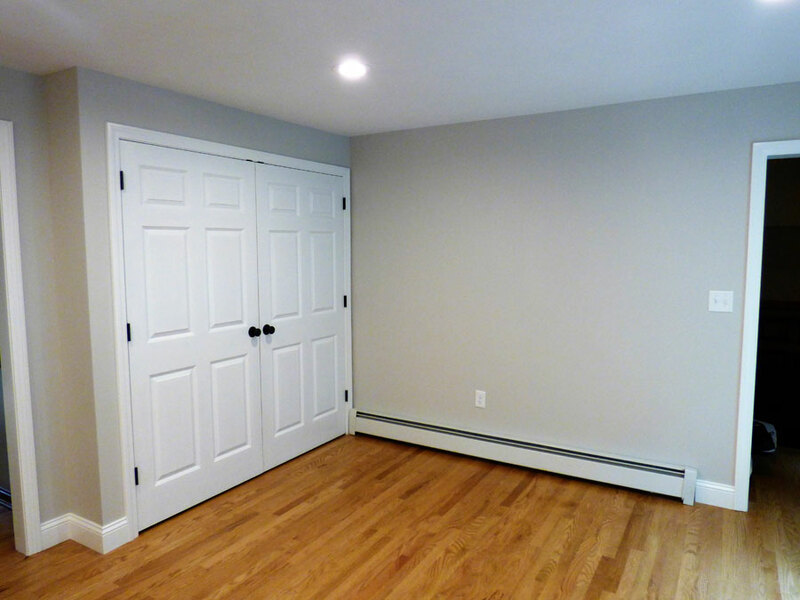 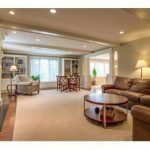 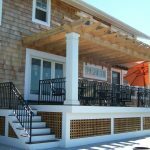 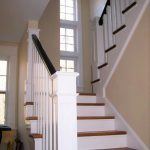 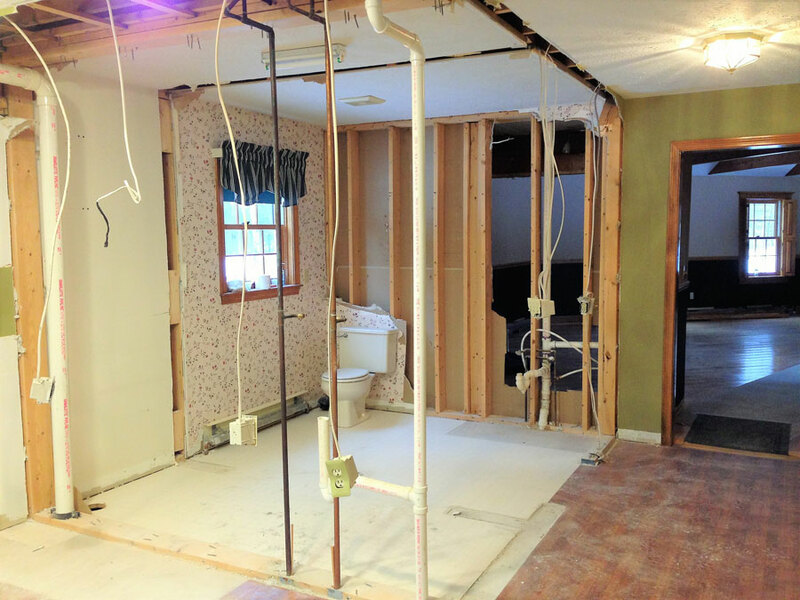 For this project, the majority of the first floor was remodeled, and most dividing walls were removed. 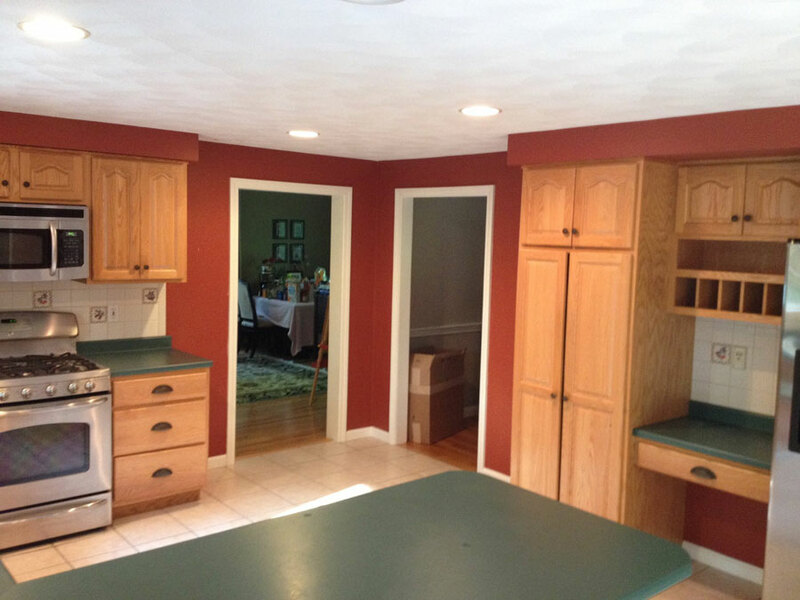 The kitchen, common bath, as well as some windows were relocated, and a walk in pantry was built. 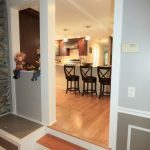 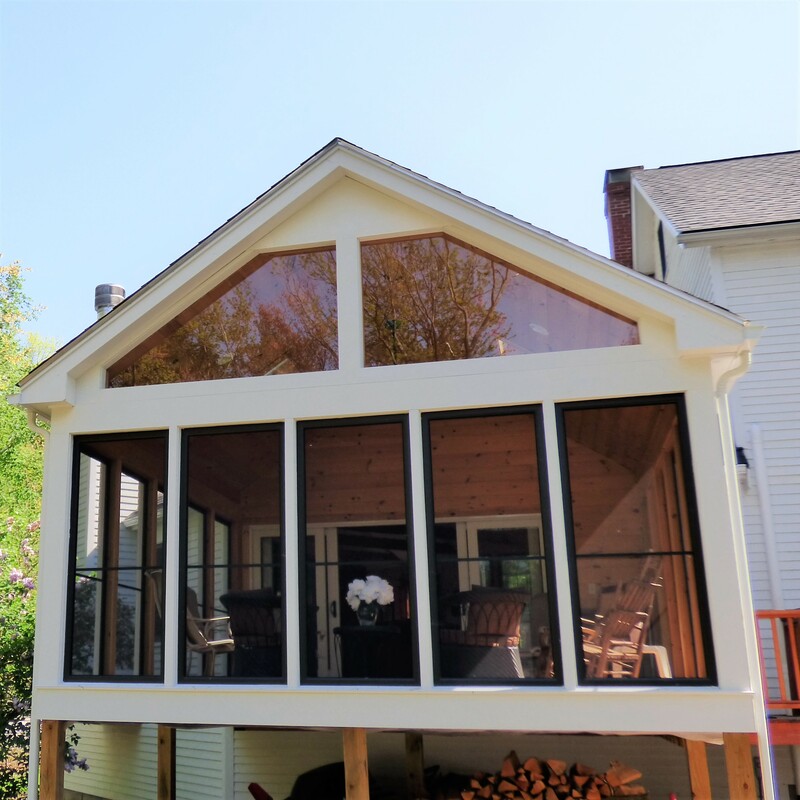 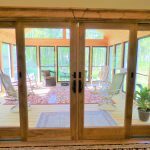 The installation of oversized Andersen wood patio sliders, hardwood flooring, cherry cabinetry, countertops, glass subway tile, a fireplace unit, and some custom millwork built by the homeowner, make for new cozy and very personalized space. 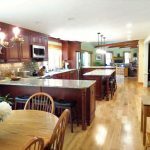 These clients love to share their home with friends and family, but found their existing layout was not conducive to entertaining, especially for the chef in the family. 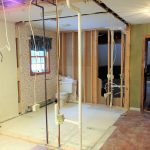 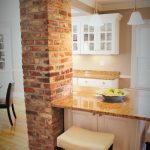 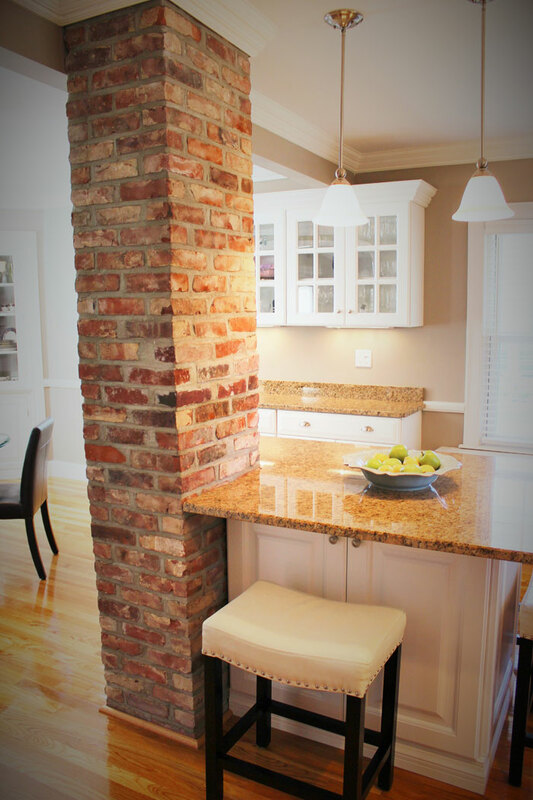 For this remodel, we removed the center wall dividing the kitchen and dining room, leaving a small header and new column at the entrance of the rooms for support. 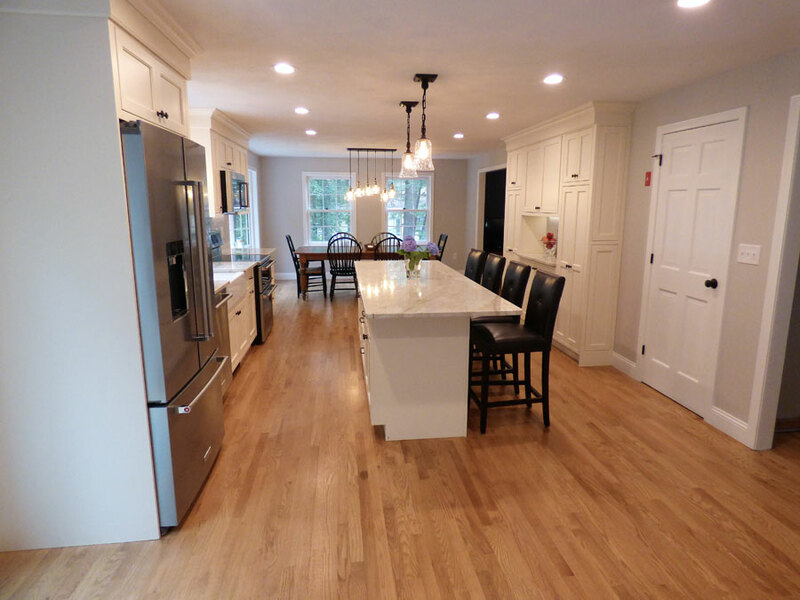 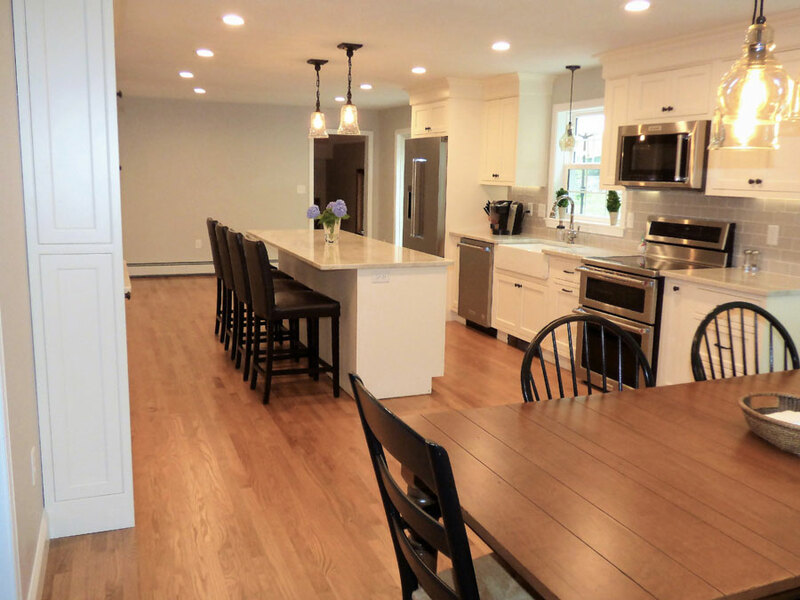 A beautiful, bright new favorite gathering space was created with the installation of cherry cabinetry, hardwood flooring, granite tops, a stone tile backsplash, stainless appliances, recessed and pendant lighting, and a new energy efficient ProVia window over the kitchen. 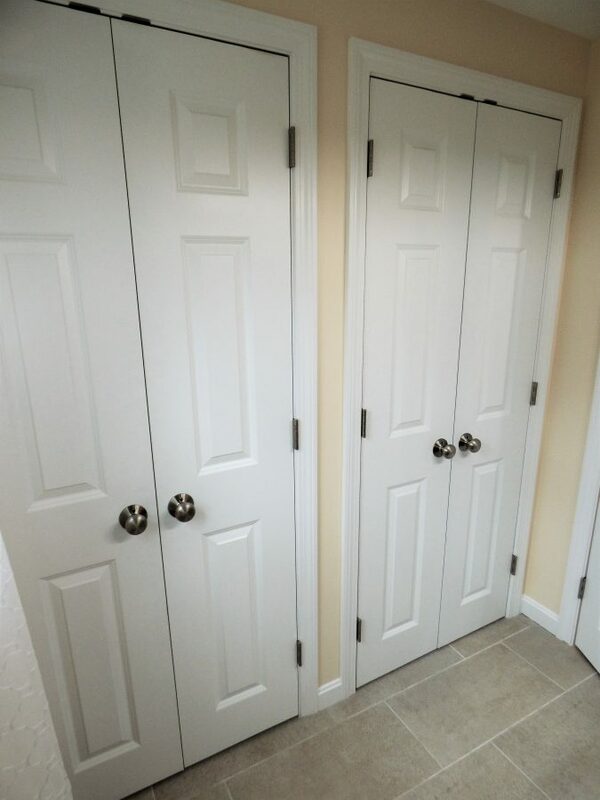 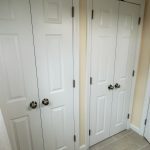 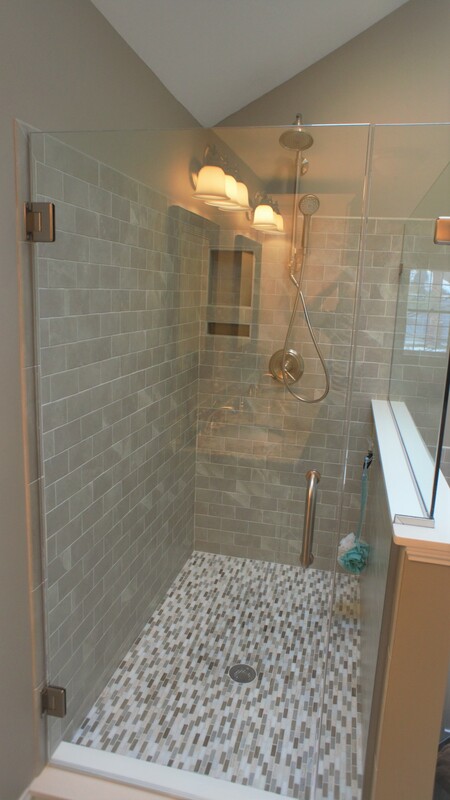 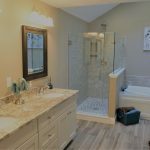 The first floor bath was fully gutted, and a shower unit was removed, and replaced with bi-fold door closets for additional storage. 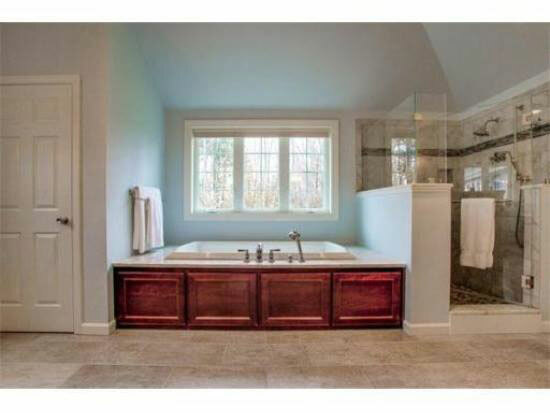 New bath walls, ceiling, flooring, plumbing fixtures, and lighting complete the package! 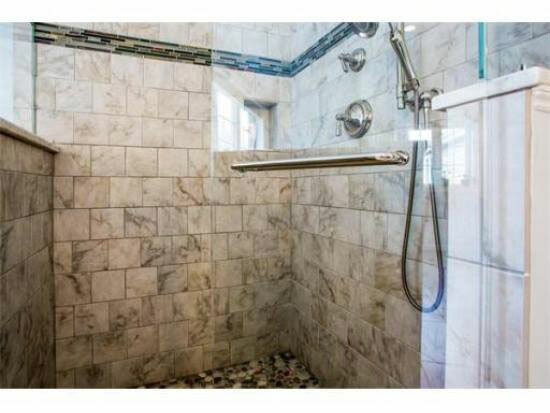 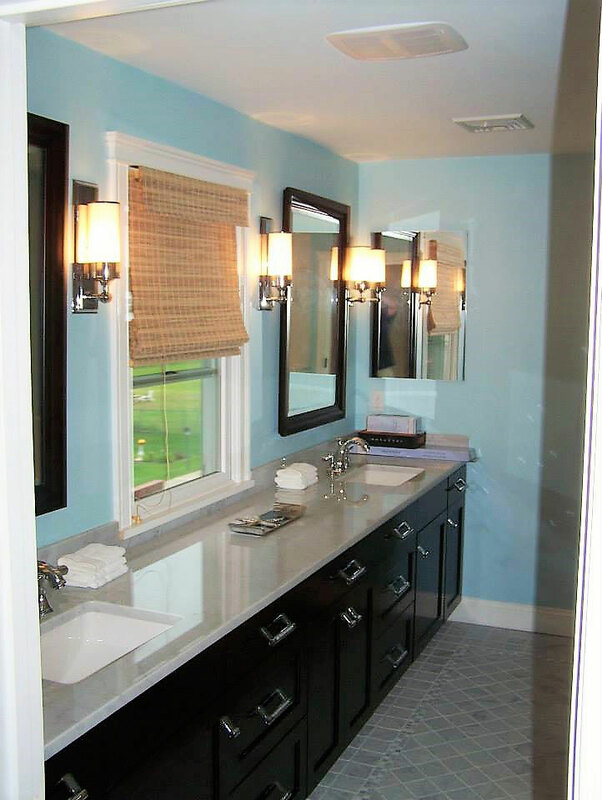 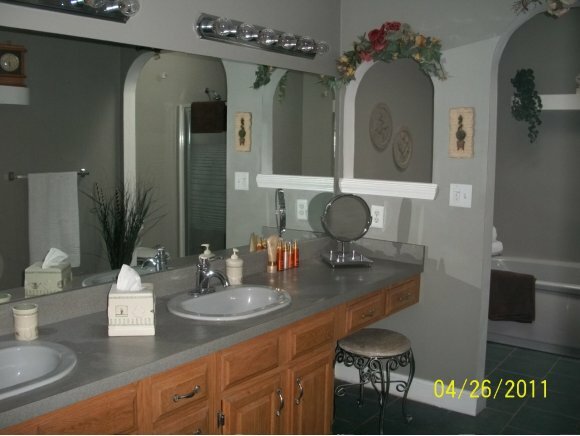 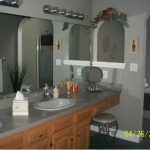 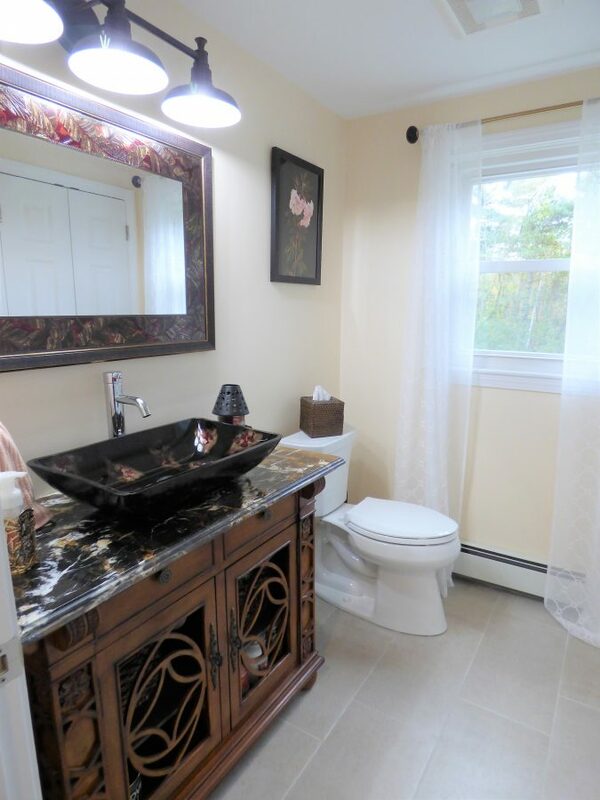 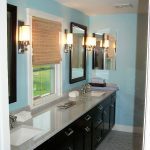 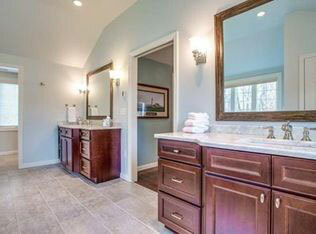 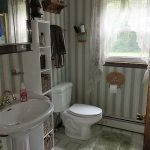 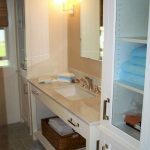 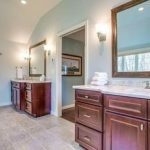 Updated bath with tile floors and a beautiful vanity! 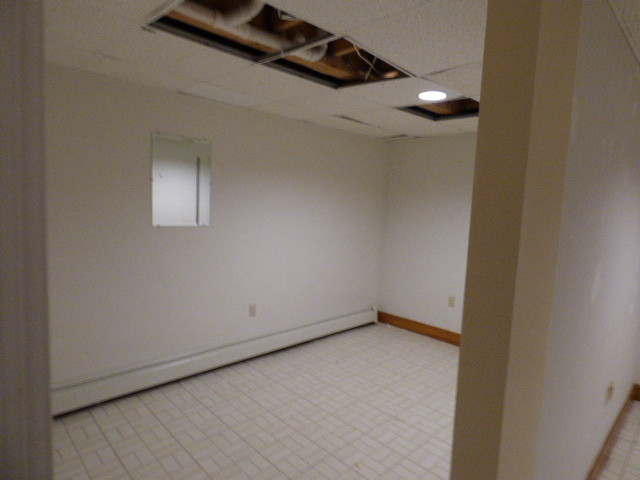 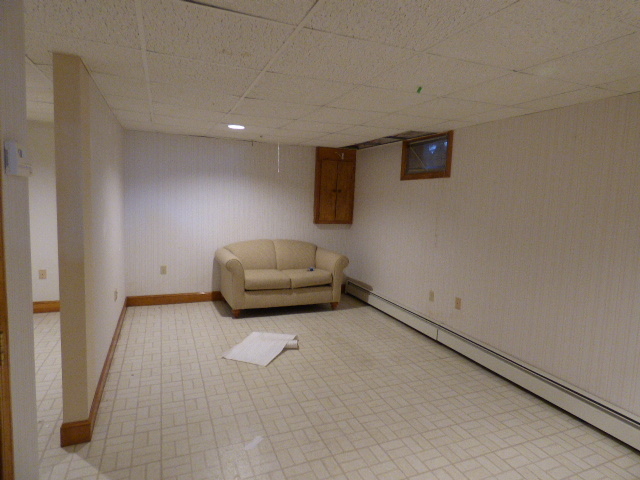 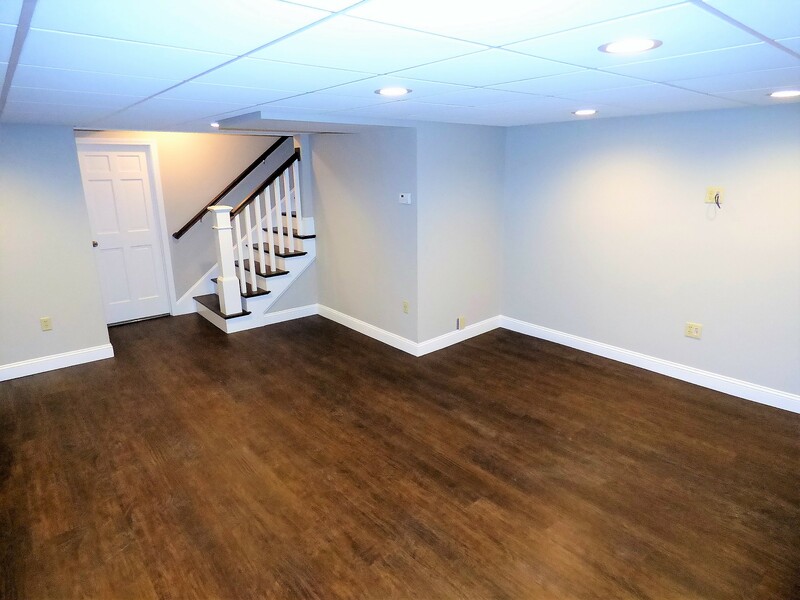 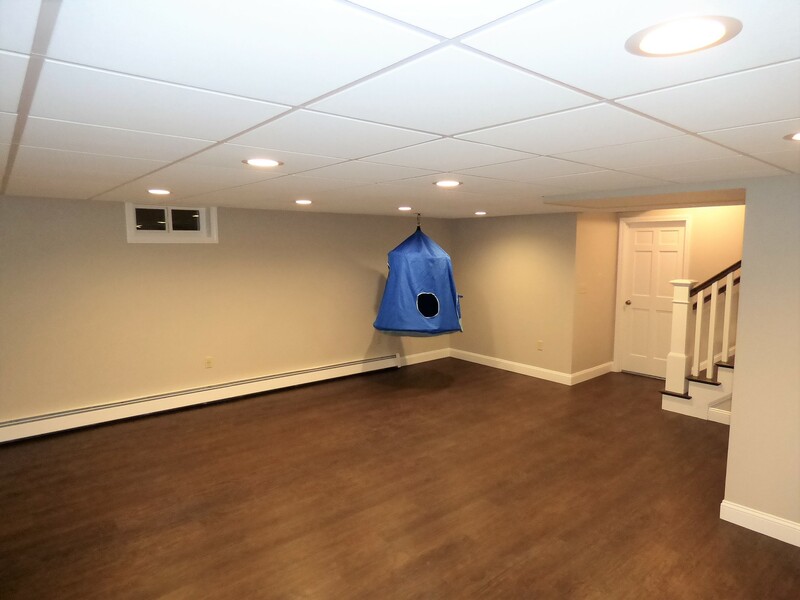 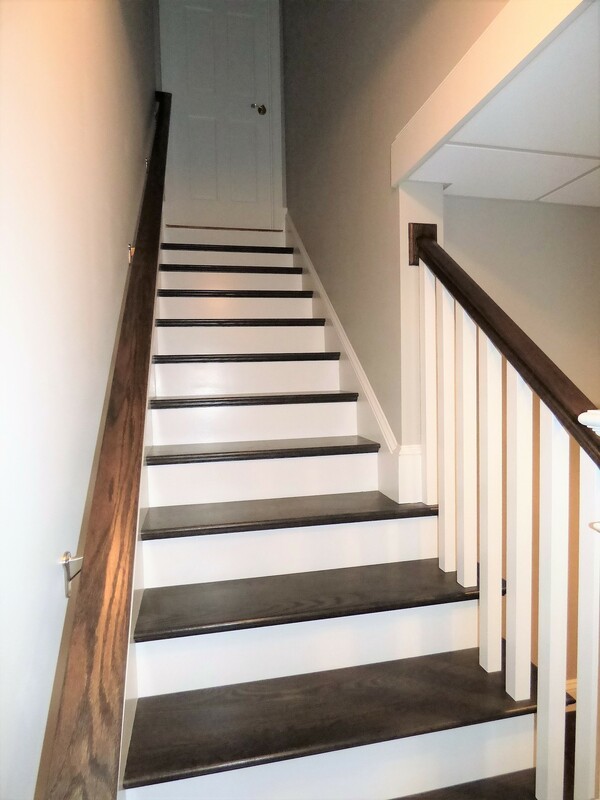 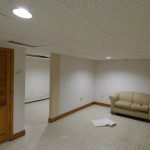 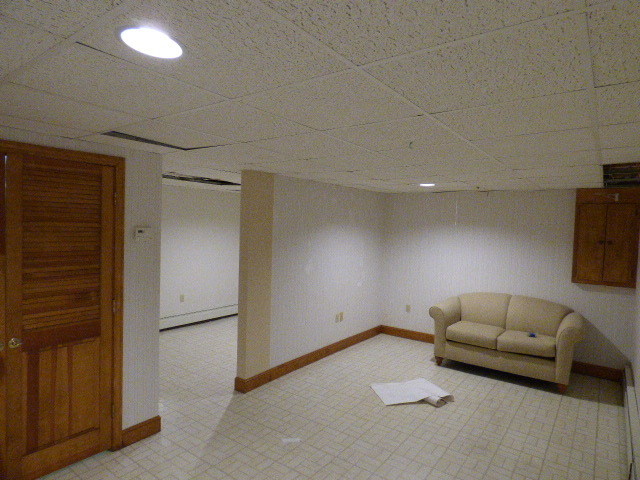 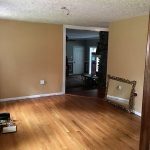 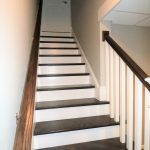 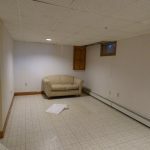 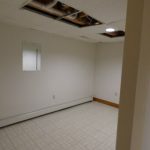 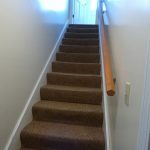 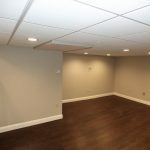 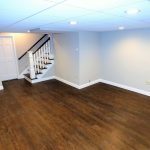 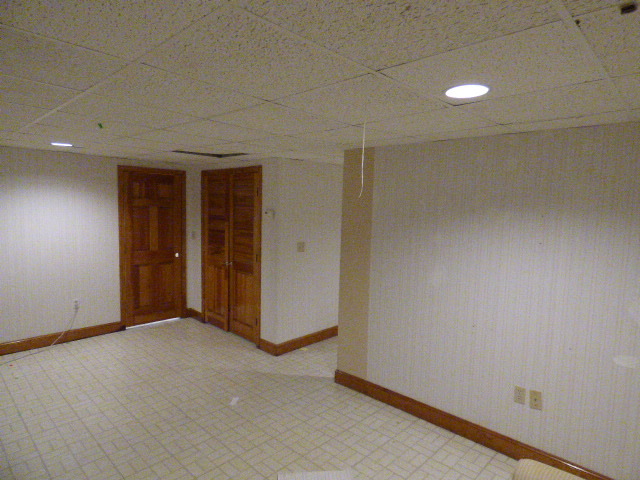 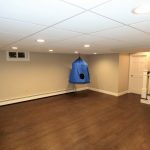 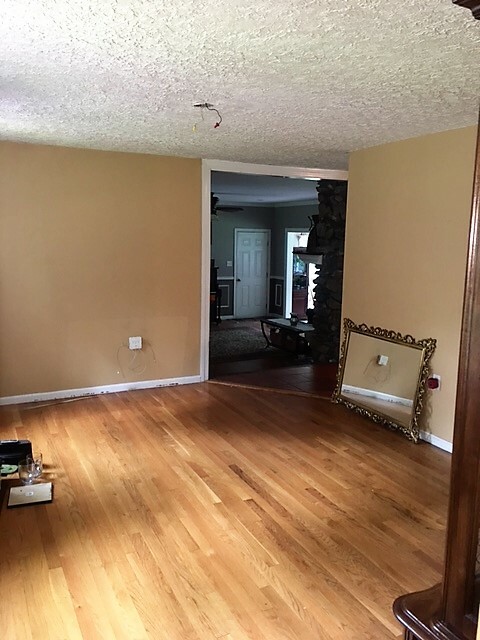 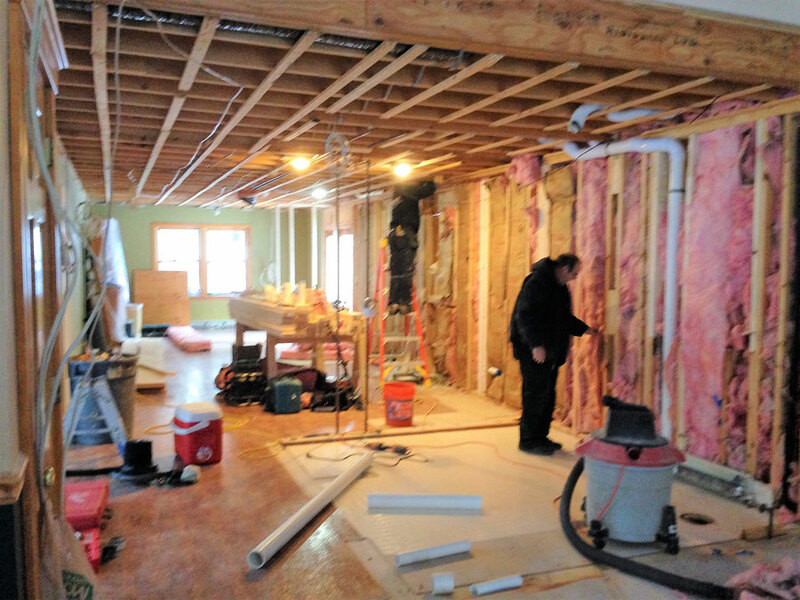 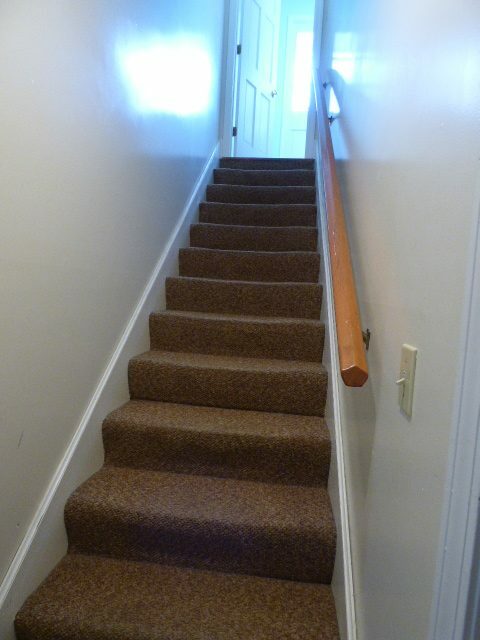 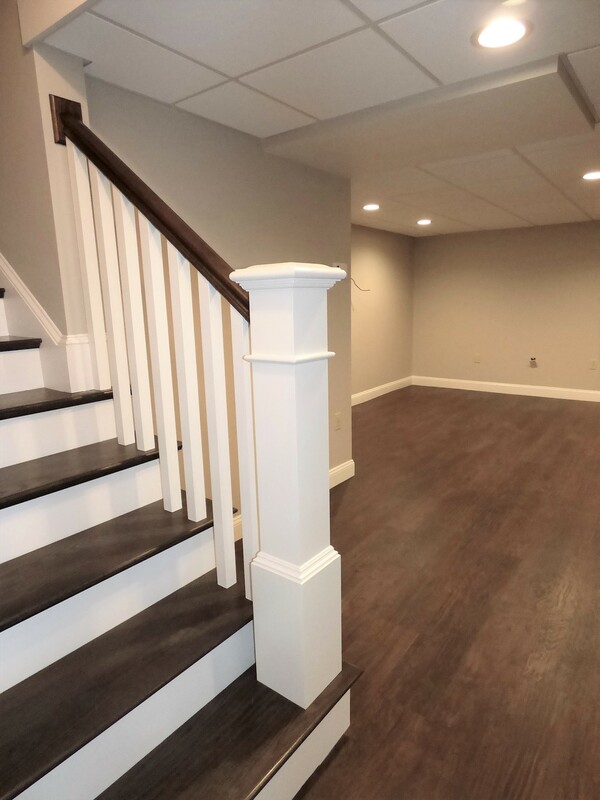 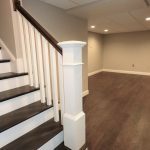 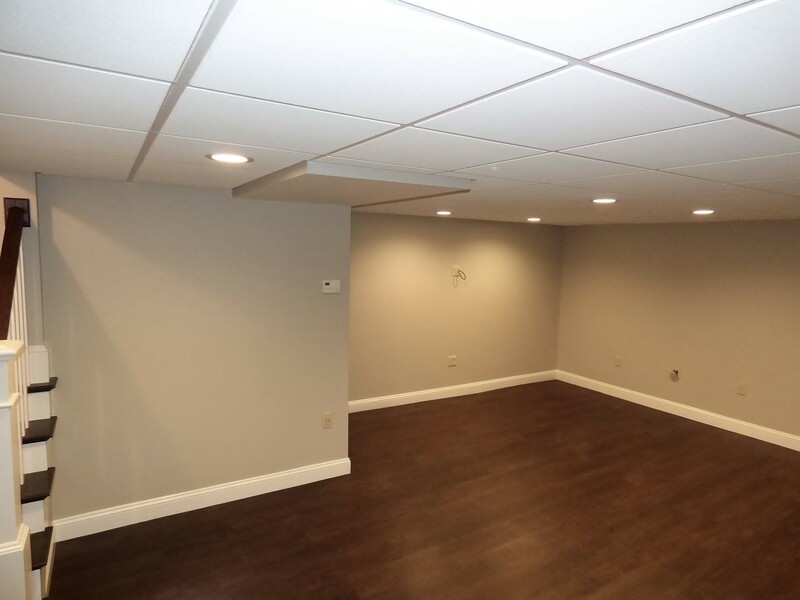 Removing all dividing walls and closets while adding new hardwood on stairs, a new drop ceiling, vinyl plank flooring, paint, and some recessed lighting opens up this previously closed in basement space. 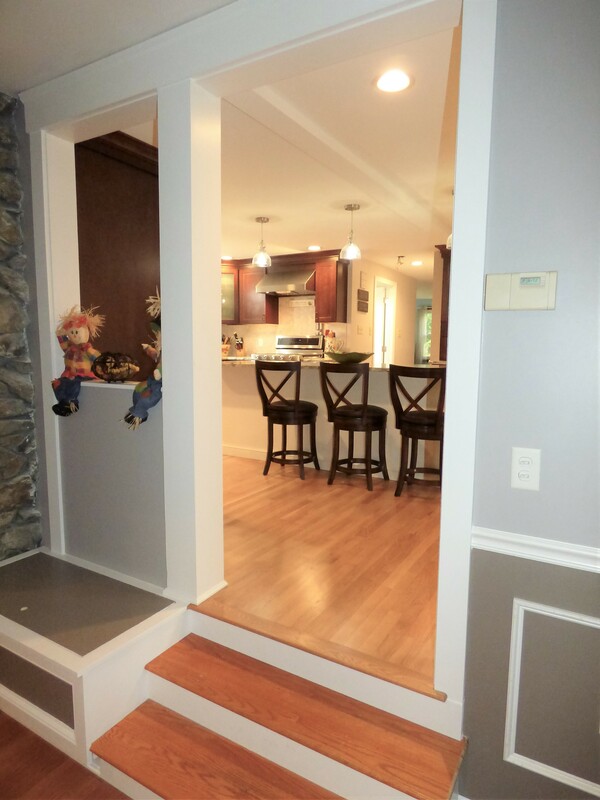 and creates a great new children’s play area. 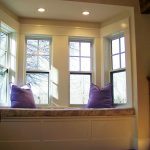 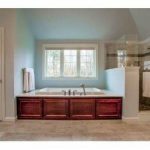 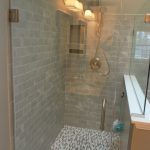 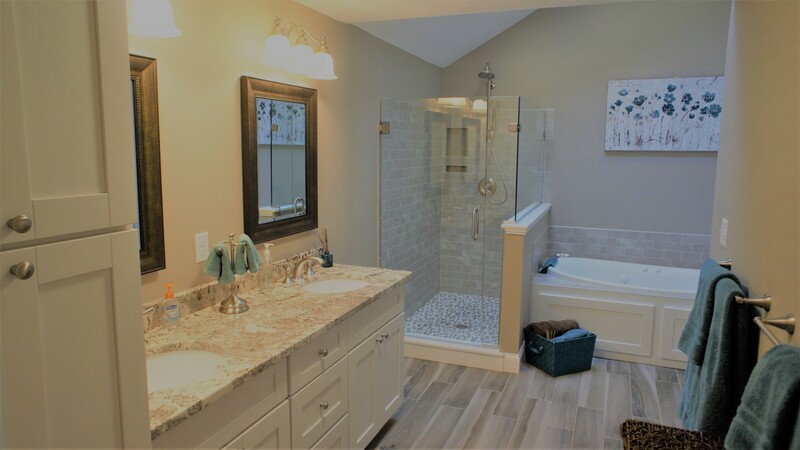 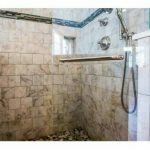 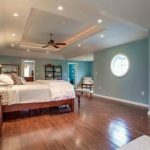 This beautiful and relaxing retreat was created by removing the dividing wall that split the bath into two spaces and swapping the shower and tub units to accommodate a new jacuzzi tub and custom glass tile shower. 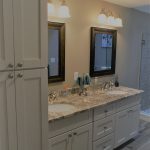 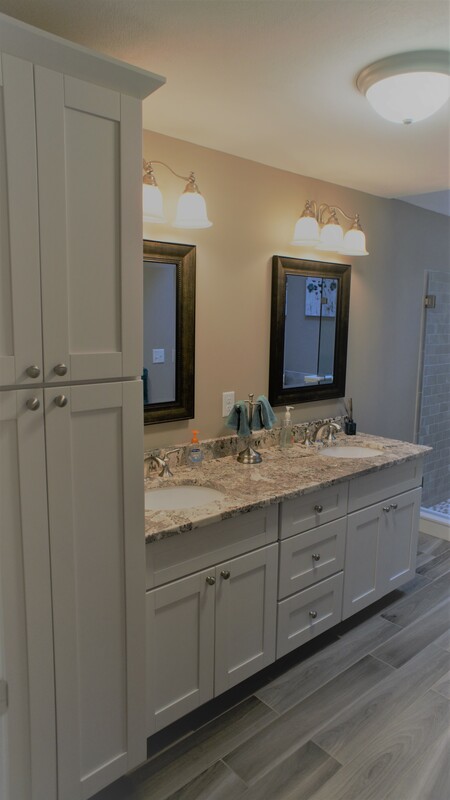 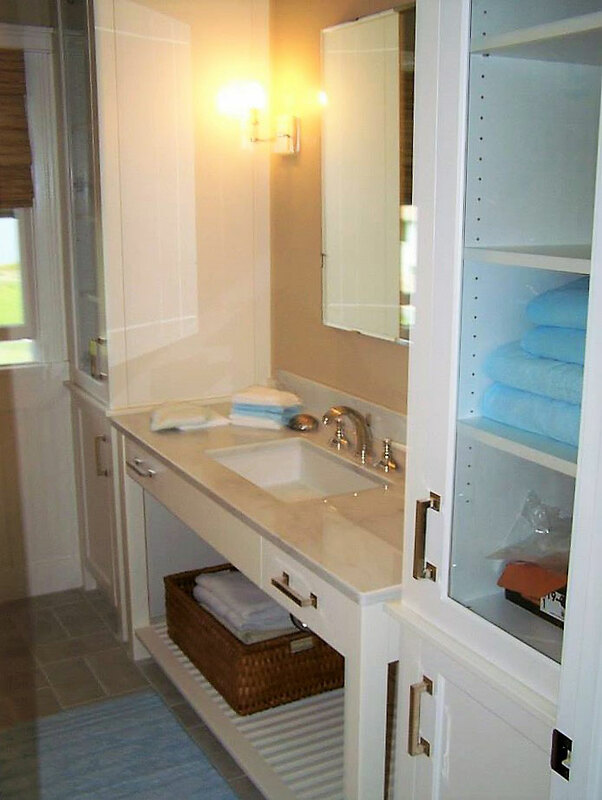 A linen tower and vanity with granite top, tile plank flooring, and new plumbing and electrical fixtures modernize this once dated master bath. 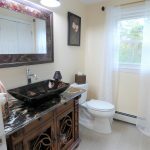 A great new place to prepare for your day or relax! 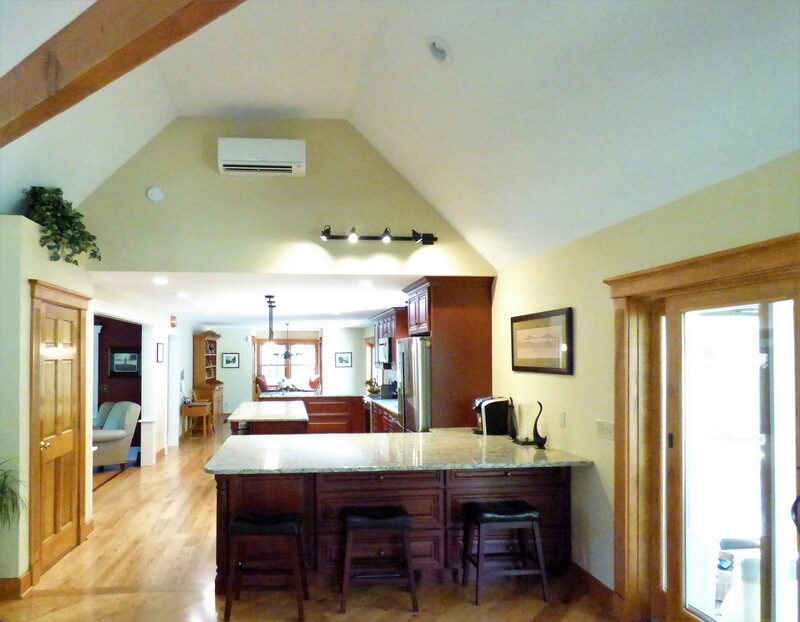 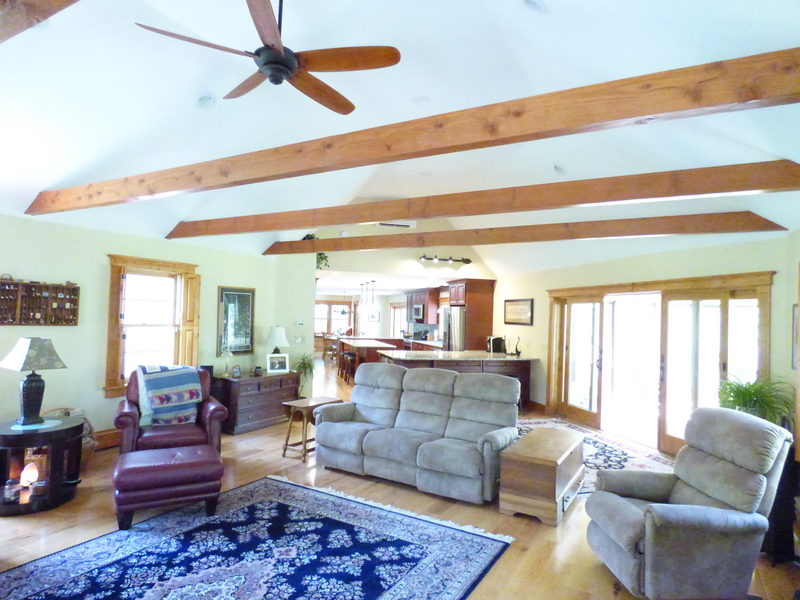 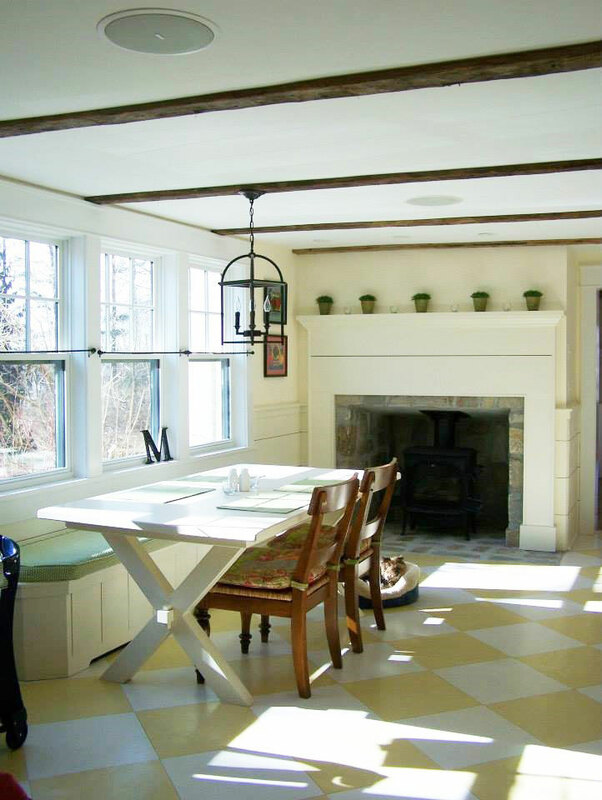 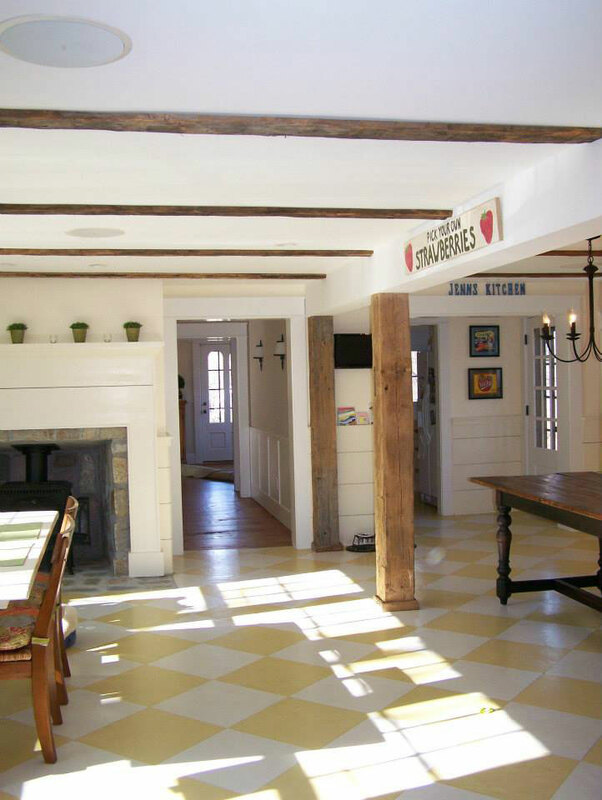 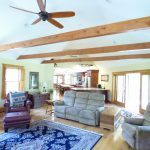 This 1800’s farm home was completely remodeled with beautiful mill work and design choices characteristic of it’s era. 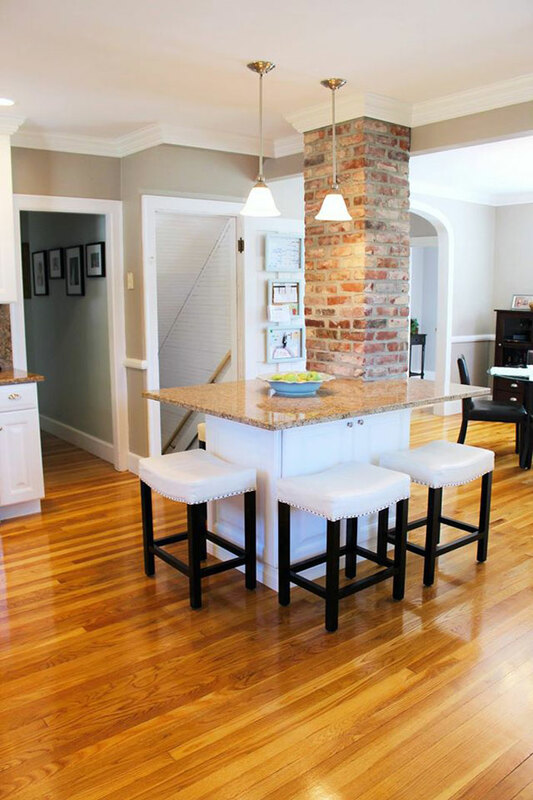 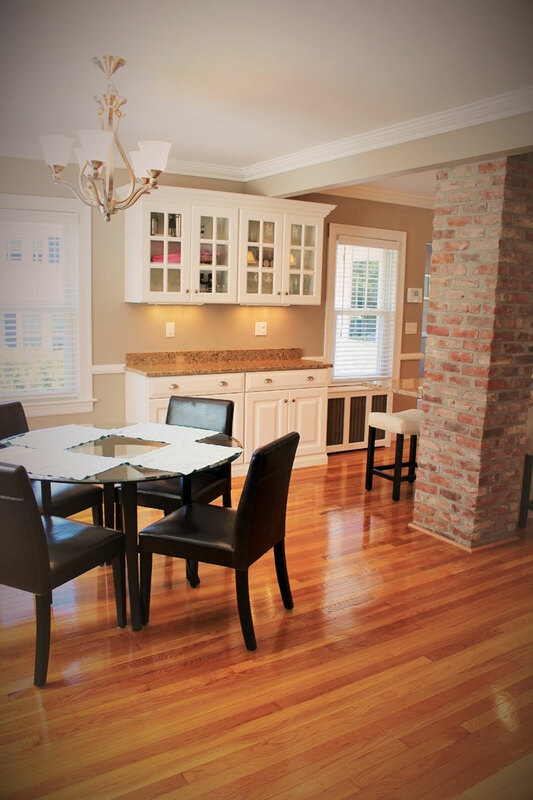 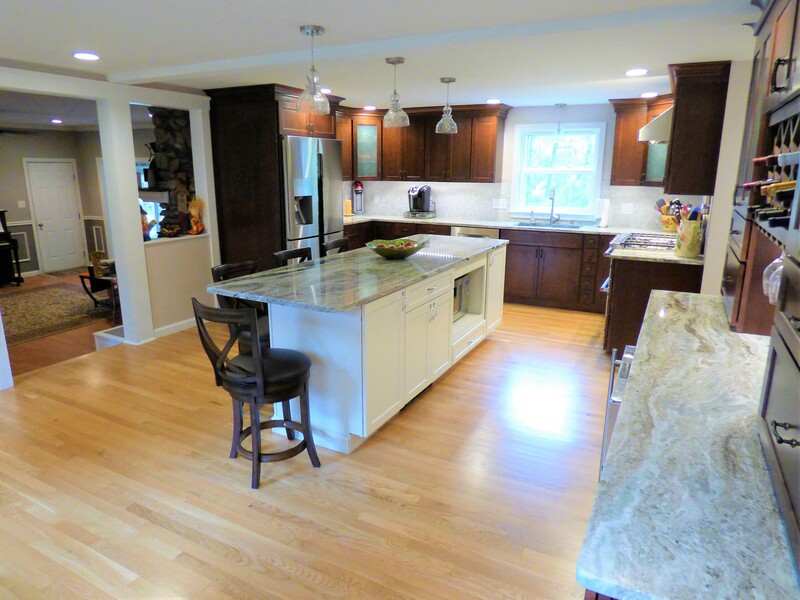 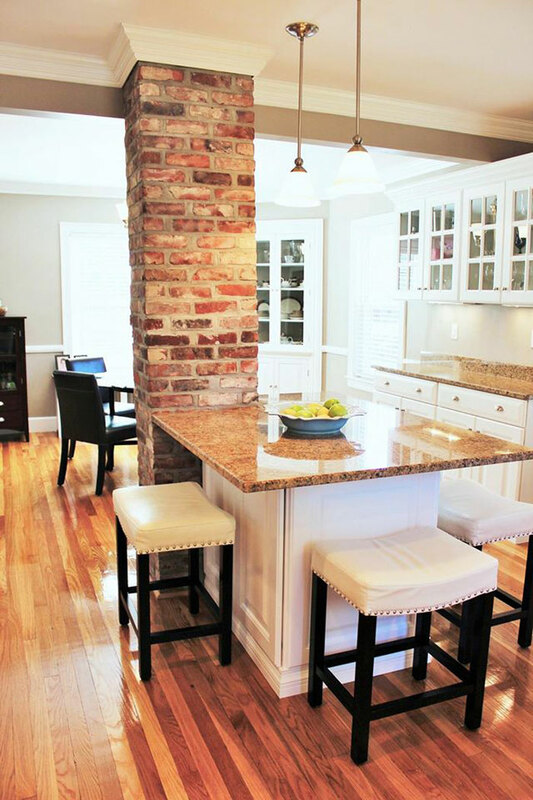 Reclaimed beams highlight the new open kitchen space, along with cork flooring and all new cabinetry and appliances. 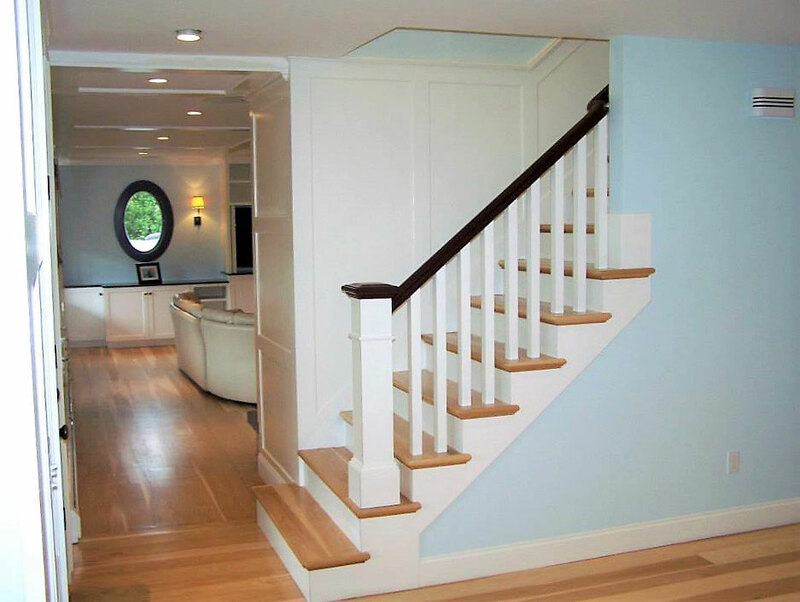 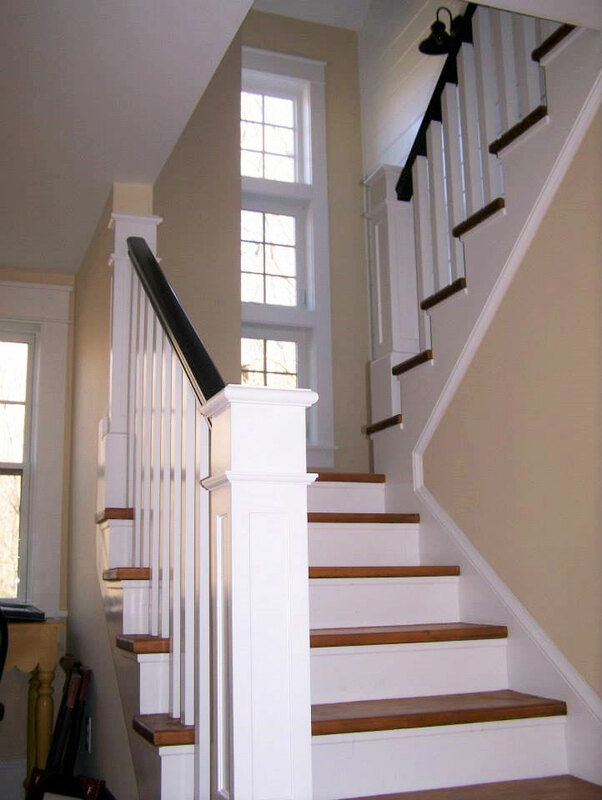 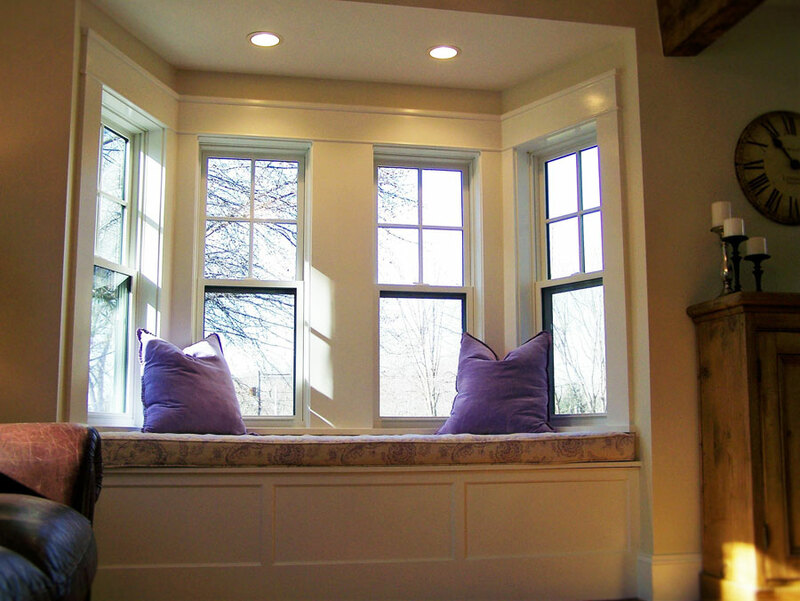 Custom mill work lines the walls, stairs, and doors, and creates an new modern elegance. 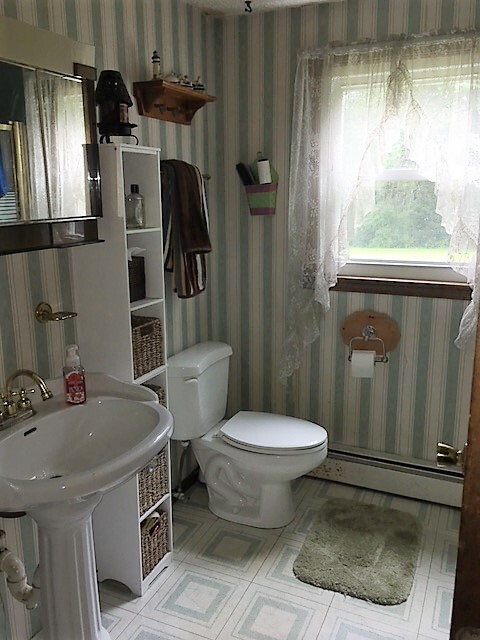 Unfortunately, we didn’t take before pics for this one!